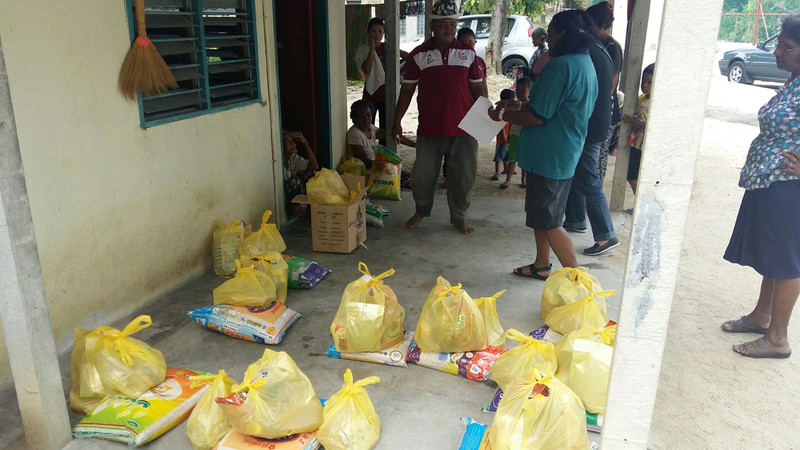 Delivery of food packs to twelve orang asli families with SOA's partner, SSVP Kuala Kangsar. The annual parish assembly was held on 19th November 2017. 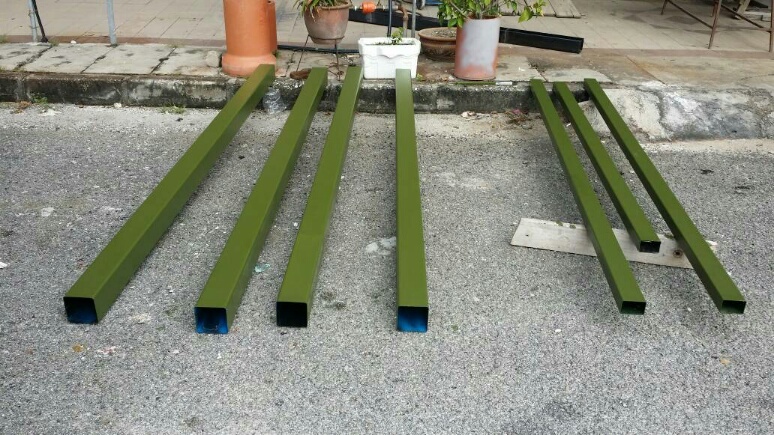 The assembly began at around 1.00p.m. and ended around 4.20p.m. It was decided that the parish event for 2018 will be "Bible Sunday", with further details to be discussed at the PPC level. 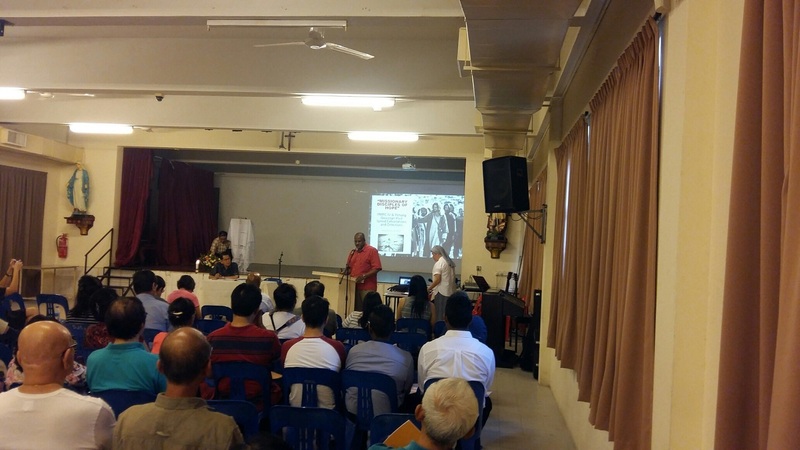 Penang Diocesan Animating team representative, Mr Ramesh was on hand to explain the thrust of PMPC IV to the attendees. Sister Theresa Lina Chiew was on hand to translate his speech into Mandarin. Pope Francis' message of being Disciples of Hope was echoed by the three Peninsular Malaysia bishops and all Catholics are called to "dialogue, discern and translate their ideas into deeds" in service to all. We are also called to be more "inclusive". 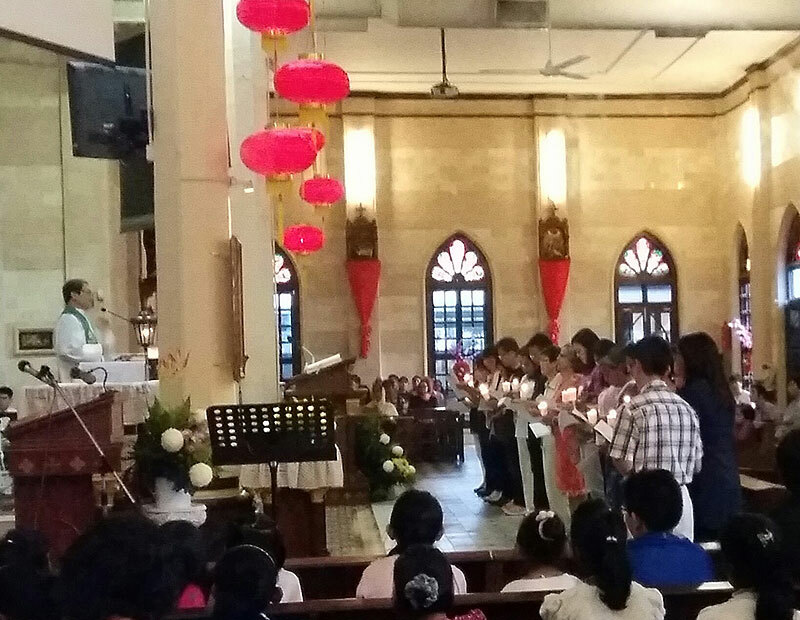 SMC's plan was outlined by Fr Liew, who called firstly for all Catholics to be rooted in the Word of God. We cannot be disciples of hope, without knowing the Word of God. All parishioners starting from the BECs are encouraged to read and discern the Word of God, with emphasis on the New Testament (i.e. the four Gospels, Acts of the Apostles,letters of St Paul and other apostles up to Revelations).The aim for 2018 was to enrich and revitalise the BECs. 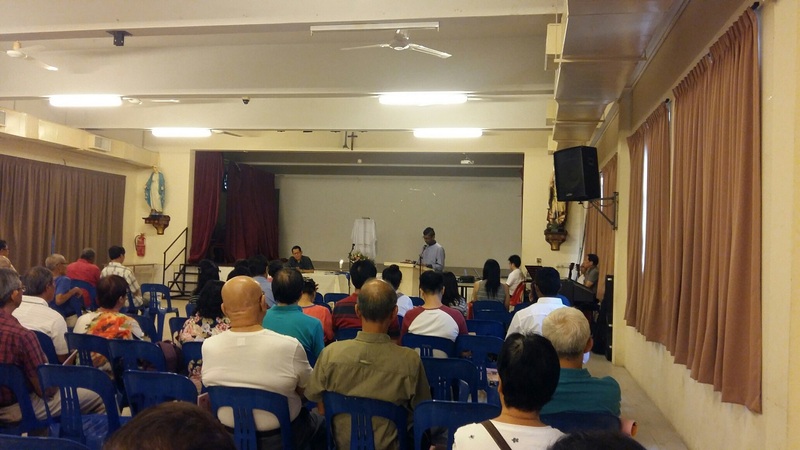 All parishioners are encouraged to be part of their BECs as Fr Liew explained that BECs are not based on any specific shared skills or common likes, hence less exclusive in nature. All outreach projects for BECs and Parish Ministries in 2018 are to be planned with this emphasis on the Word of God in mind. 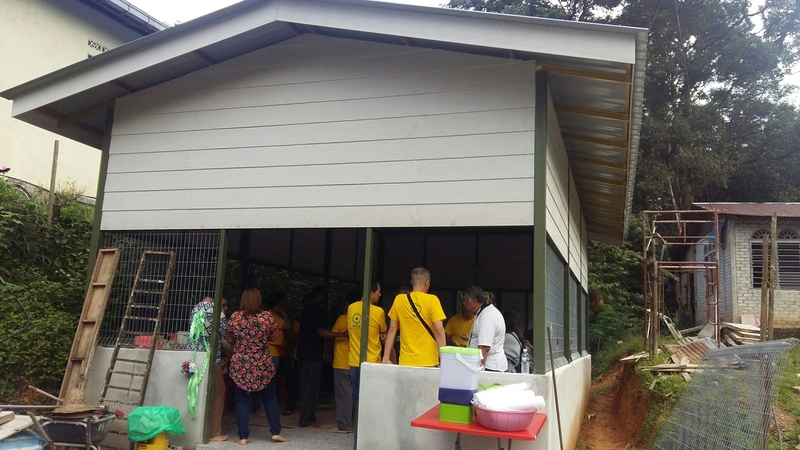 Fr Andrew Stephen and Fr Stephen Liew officially opened and blessed the new multi-purpose hall constructed in Kampung Sg Bil,Tanjung Malim. 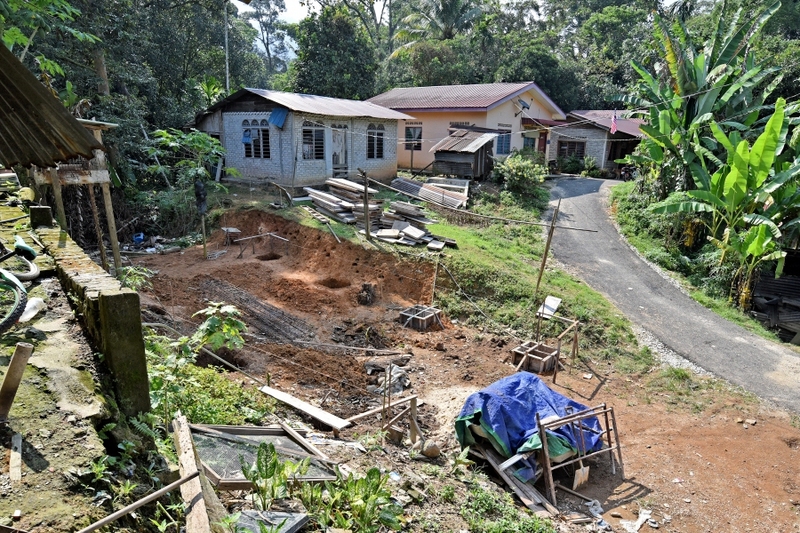 The little plot of land was donated by an orang asli villager. 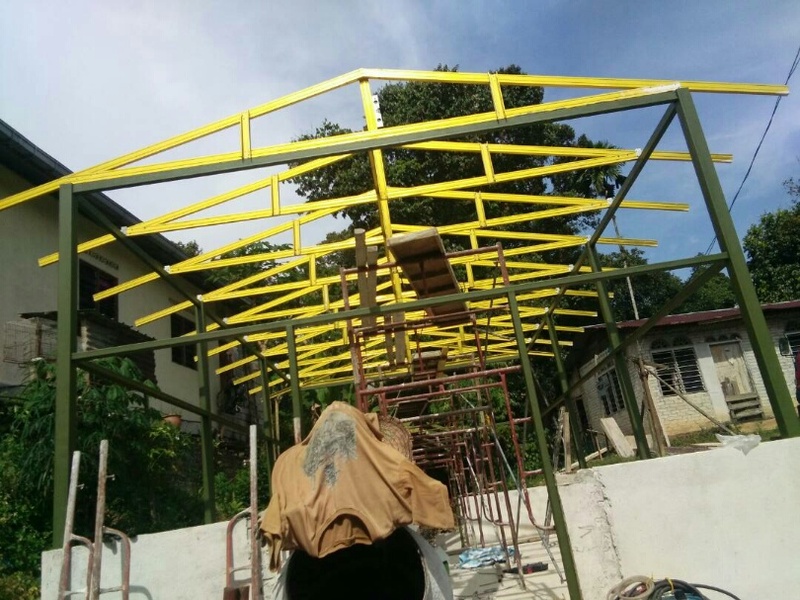 The inspiration to construct a small multi-purpose hall came to SOA's mobilisation team leader when they once witnessed Fr Andrew and his parishioners celebrating mass with the villagers in the rain, while holding umbrellas. 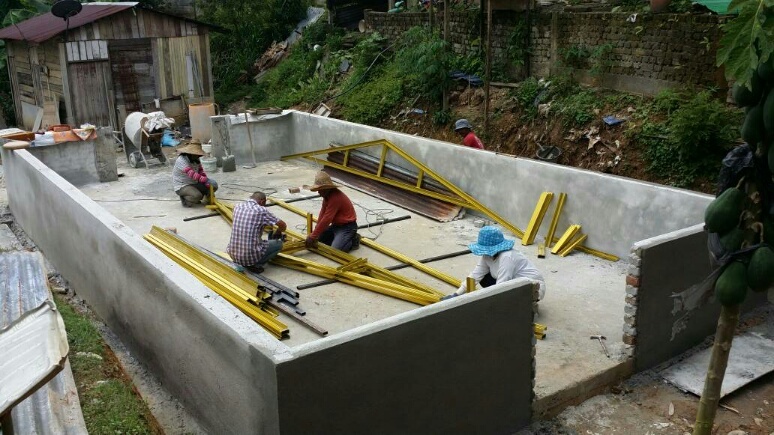 SOA's hard-working team member, Bernard Lee, had been supervising the construction works since it began in August this year. 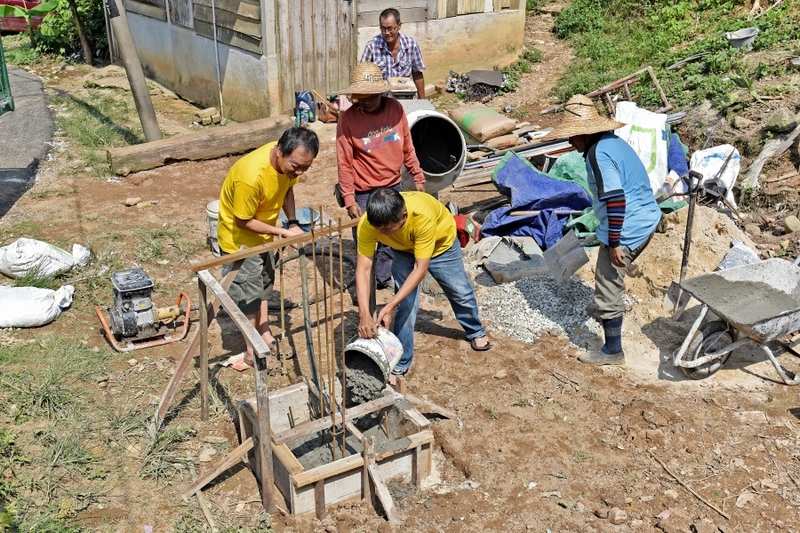 Apart from SOA funds, the building was also built with aid from some members of St Michael's church Chinese Apostolate, who sponsored items such as cement,floor tiles,fan and LED lights. Engineering design was was done free of charge by SL Chan Concultant. 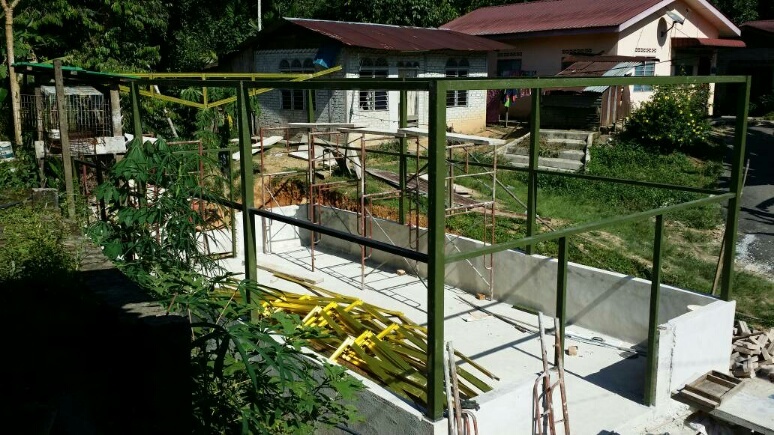 SOA's partner, the Pink Shoes organisation have pledged to finish up the remaining works still to be done such as painting and electrical wiring. 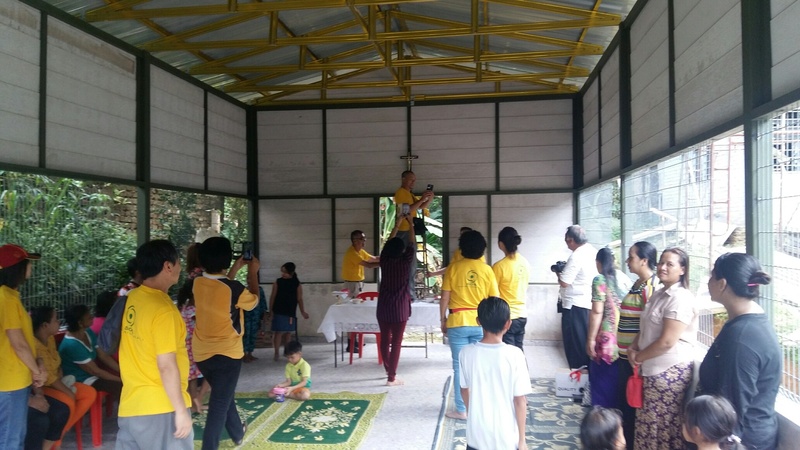 The priests were joined by some villagers of Kampung Sg Bil together with SOA members and also supportive parishioners of Tanjung Malim church. 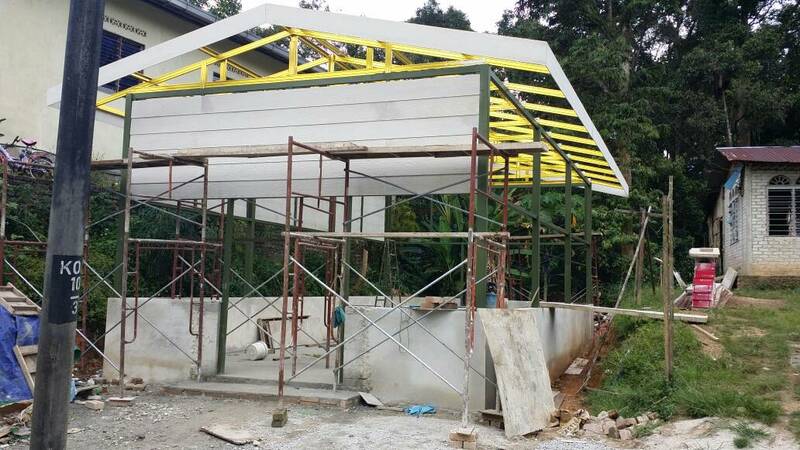 Fr Andrew thanked God,Fr Stephen Liew and the SOA for the gift the hall, which will be most useful for the villagers to celebrate mass, conduct kindergarten classes and hold "kenduri" gatherings. Fr Andrew and Fr Stephen started the ceremony with a short prayer in front of the hall. 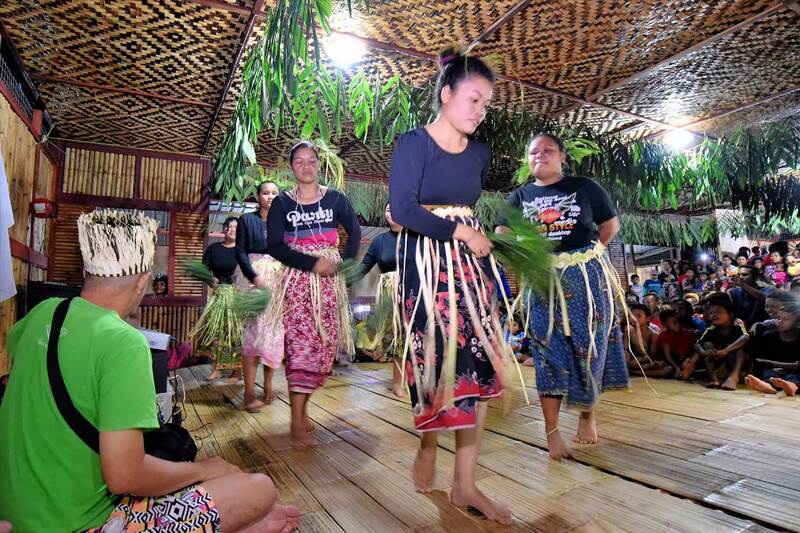 This was followed by a simple ribbon-cutting ceremony and blessing of the hall. 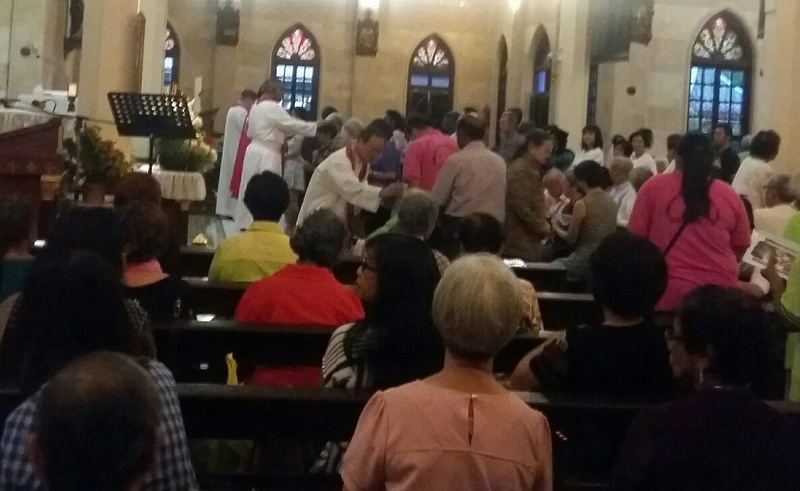 A mass in Bahasa Malaysia was then con-celebrated by both priests. 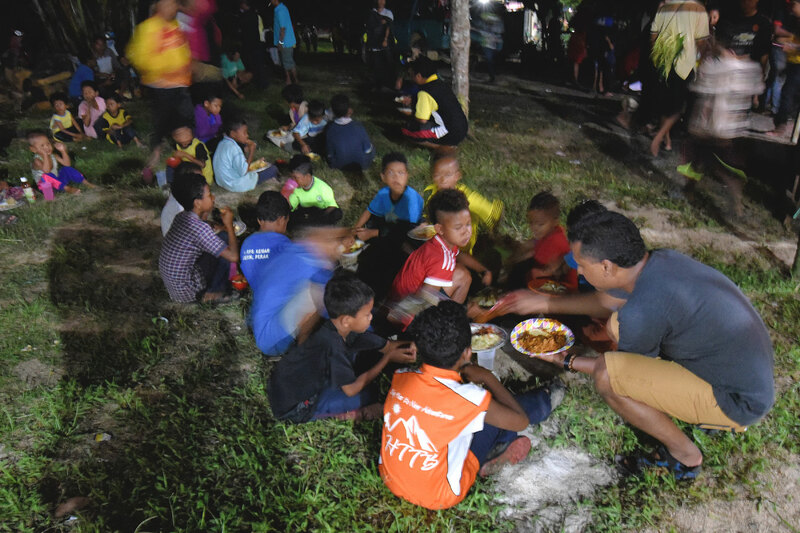 After mass, the villagers and parishioners of Tg Malim church prepared a delicious kenduri for all present. 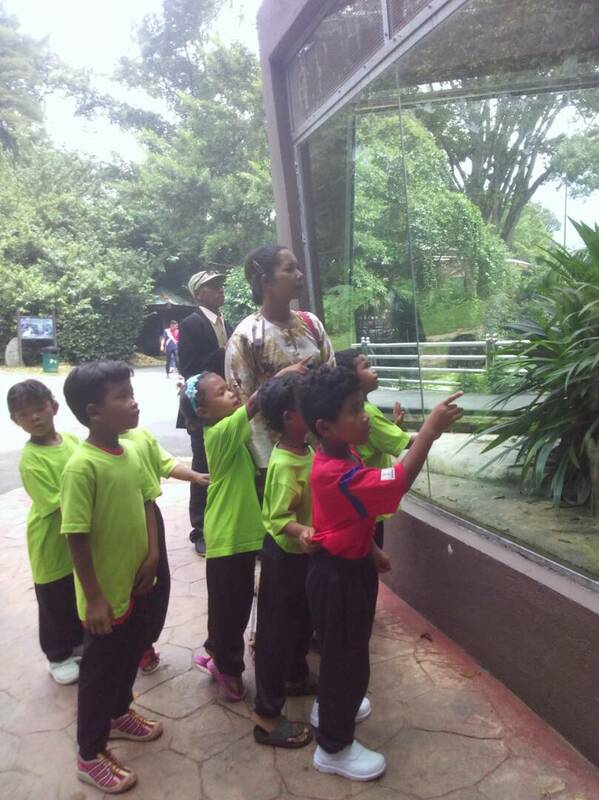 SOA sponsored a trip to Taiping Zoo for seven orang asli children from Kg Sinju kindergarten, together with their orang asli teacher, Ms Nadia and two other supervising adults. 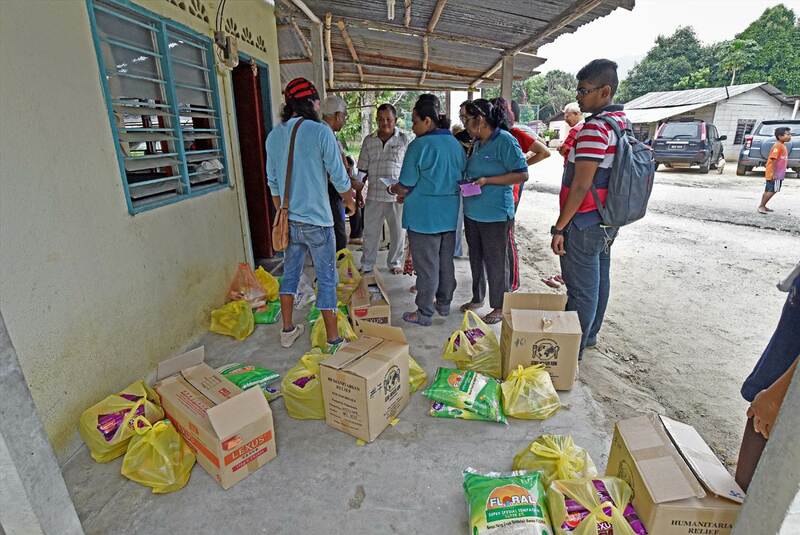 SOA Survey and Mobilisation team delivered food aid to Kg Lawin Selatan and Sg Karah, Gerik. The Feastday of St Padre Pio was celebrated in our parish of St Michael's on 21st September 2017, together with the SMC Evergeen's group. The celebrations started with the Novena to Padre Pio, followed by mass and the Evergreens Dinner thereafter. 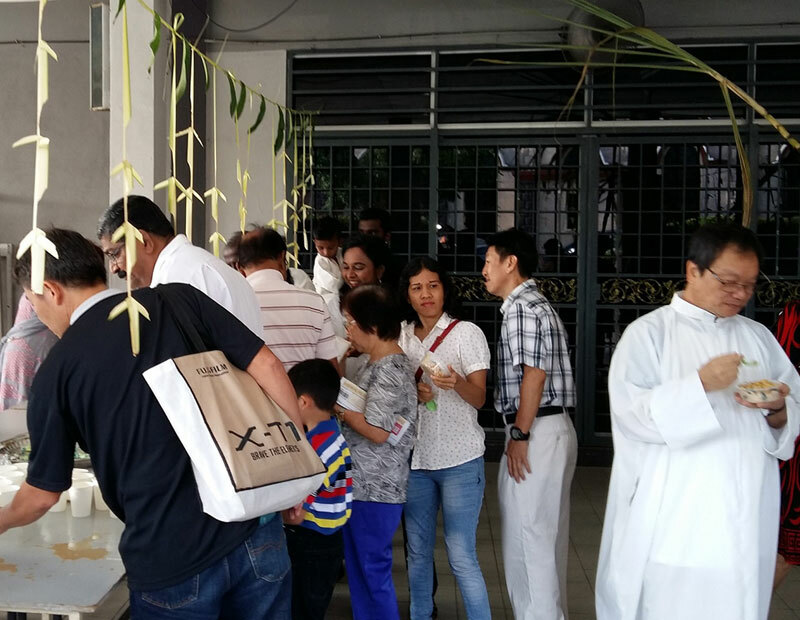 The mass was celebrated by Fr Paul Kee, together with Fr Joseph Stephen from OMPH and SMC's parish priest, Fr Stephen Liew. In attendance were SMC's Padre Pio group members and members from SMC's Evergreens Group, and visitors from other parishes. The mass included a special blessing and anointing session for the infirmed and elderly. 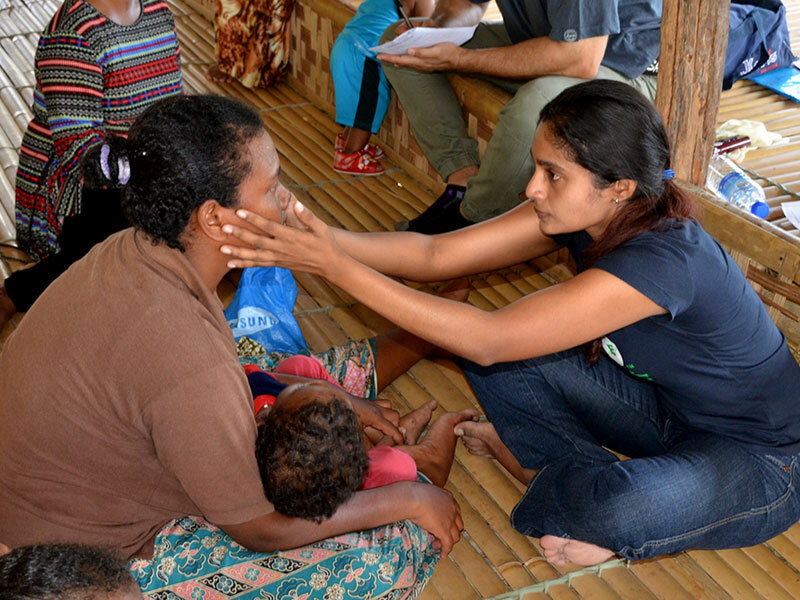 Delivered food aid and topical medication to a marginalised orang asli community in Hulu Lawin Selatan, Gerik. The parish celebrated Fr Robin Andrews' 80th birthday with a formal lunch at Sun Lee How Fook,Ipoh on 17th September 2017. Well-wishers and priests from many other churches, including those from Batu Gajah where Fr Robin served for many years, attended the lunch to celebrate the life of this dedicated priest. Also in attendance was some of Fr Robin's family members. Fr Robin also used the occassion to wish a "Happy Birthday" to his identical twin brother, Colin, who unfortunately, could not be in attendance for the lunch. Despite being retired and living as Priest in Residence, Fr Robin still celebrates masses regularly in St Michael's church. 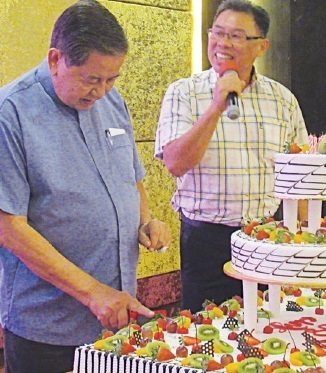 We pray that God will continue to bless Fr Robin with good health and a long happy life. 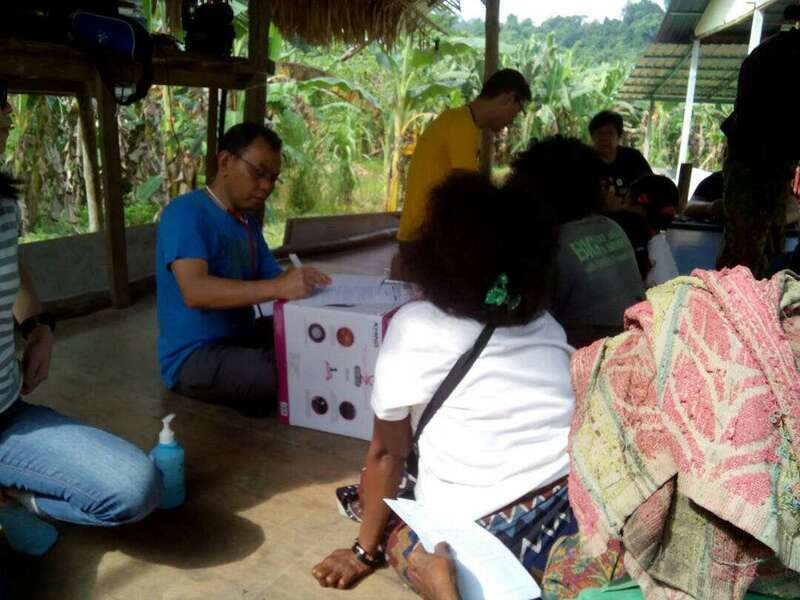 SOA Survey and Mobilisation team members sold tilapia farmed by Orang Asli in Kg Sekam after the morning masses at St Michael's church. 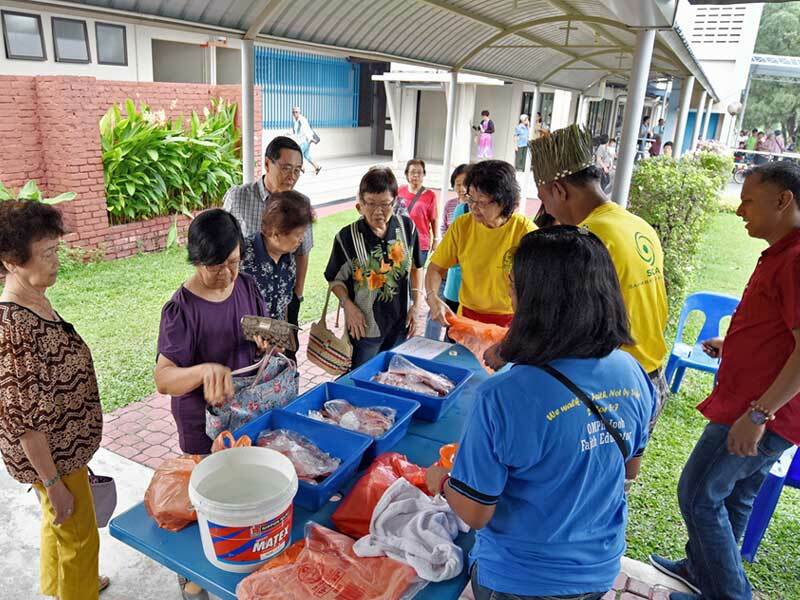 SOA volunteers from Church of Our Mother of Perpetual Help (OMPH) simultaneously also held a fish sale at OMPH church, on the same morning. 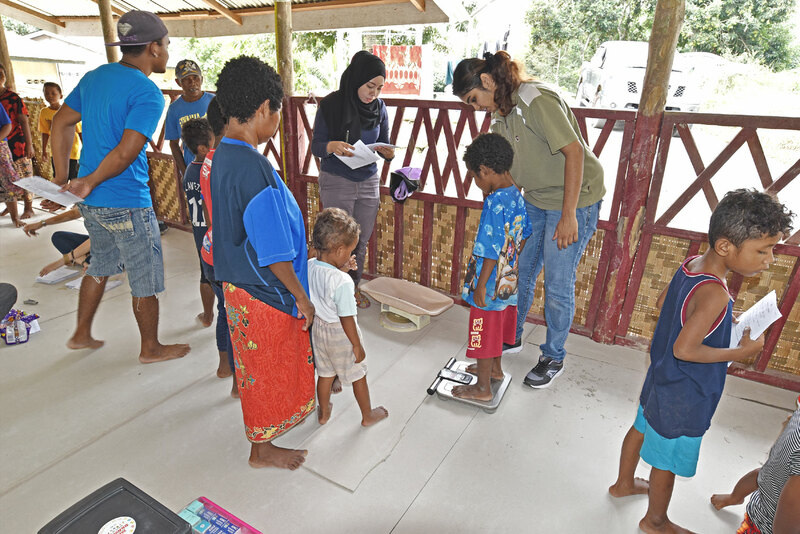 Profits after payouts to Kg Sekam villagers who farmed the fish have been plowed back into the SOA fund for further development work. 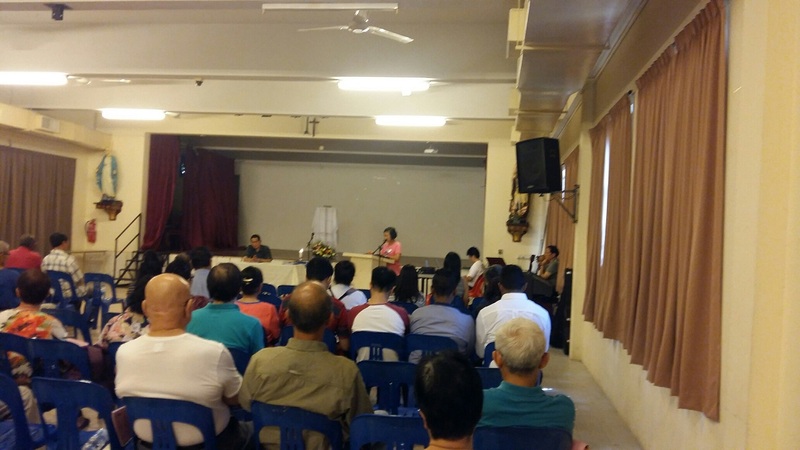 The second assembly of the Perak Deanery Orang Asli Apostolate was held at St Michael's church SFX hall on 12th August 2017. 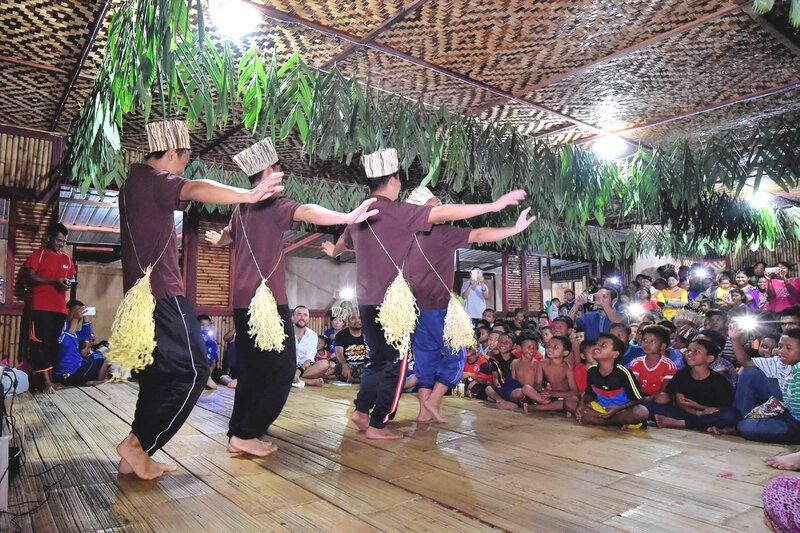 The event drew approximately 70 orang asli participants from all over Perak. 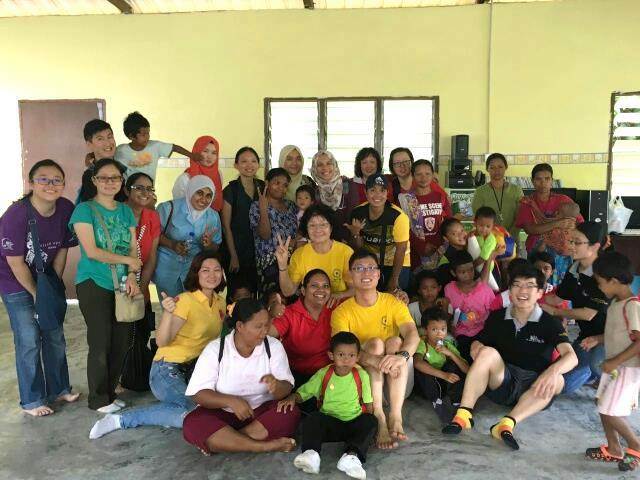 Other esteemed guests include SOA education partners, the Society of St Vincent de Paul, Perak (SSVP) and SOA supporter, Pink Shoes organisation from Kuala Lumpur. 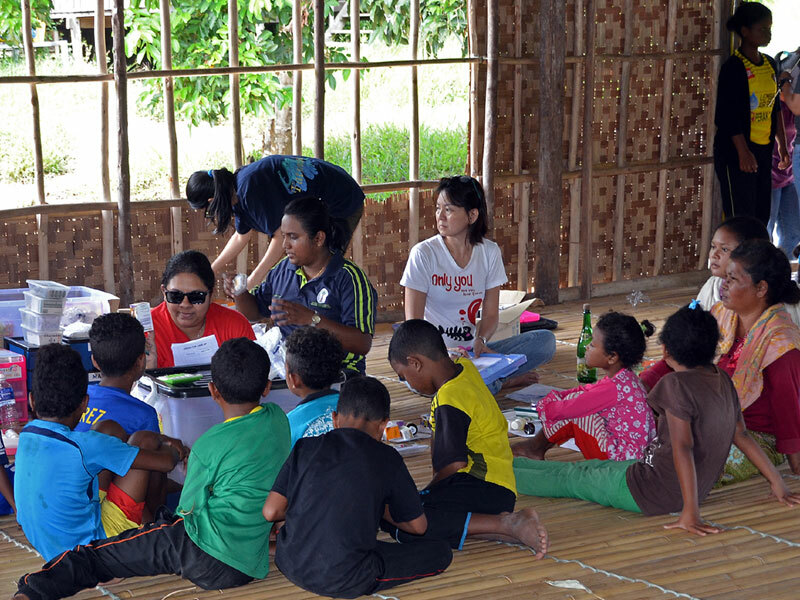 Guests and participants arrived by 11 a.m. and were treated to a simple lunch. The event started with a welcome address by SOA Chairman Mr Francis Fernandes and SOA priest advisor, Fr Stephen Liew. SOA member, Mr David Chai, then presented a summary of the works done by SOA in Perak since the last assembly. Areas covered include infrastructure works, medical aid, emergency food aid and education. 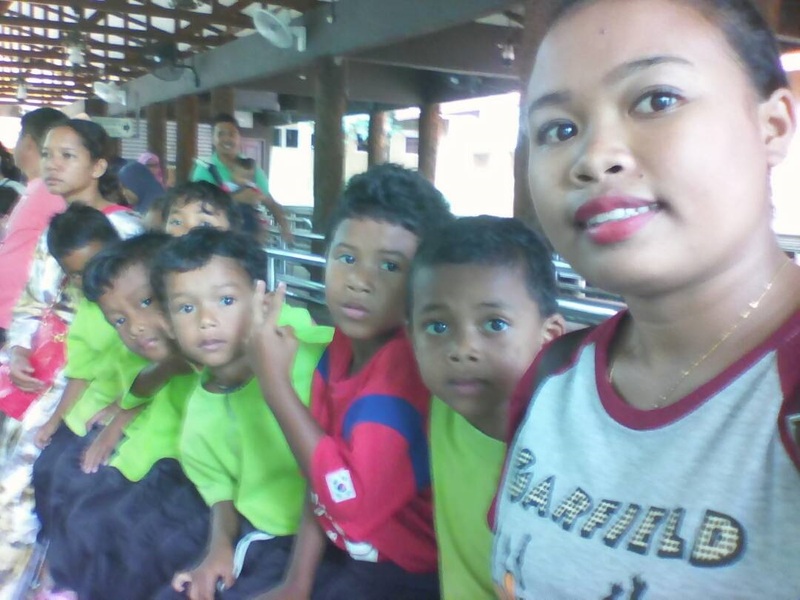 The orang asli teacher from Kg Sinju,trained by SOA partners Mariaville kindergarten and SSVP Perak also gave a short speech on her journey towards becoming a kindergarten teacher at her village. This was followed by a medical and nutrition talk by Dr Ho Jien Yeen and Dr Kelvin Goh from Hospital Raja Permaisuri Tuanku Bainun, Ipoh. 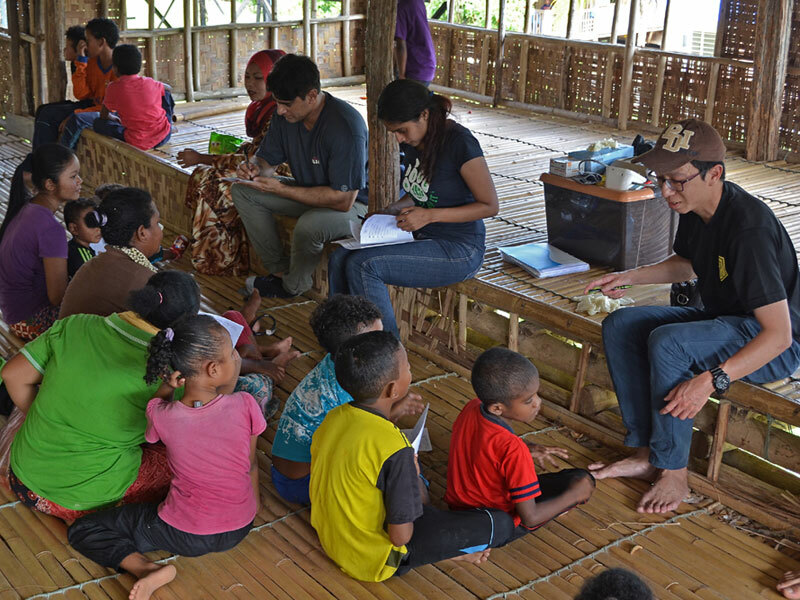 It was heartening to see active orang asli participation in the Q&A session with Dr Goh. This was followed by a short break. 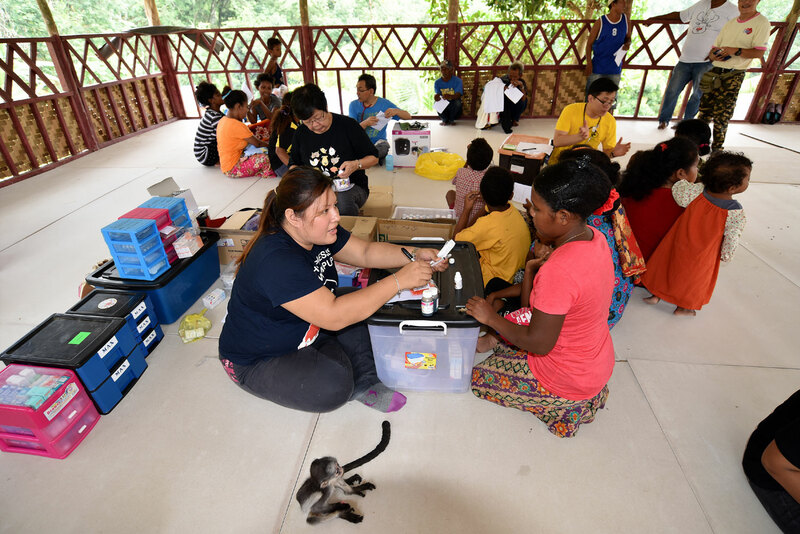 An orang asli friend of SOA from Gerik also gave a short sharing about the assistance given by SOA in the building of the multi-purpose community hall at Pos Kemar. Representatives from Pink Shoes organisation also gave a short reflection on their experiences while working with SOA. 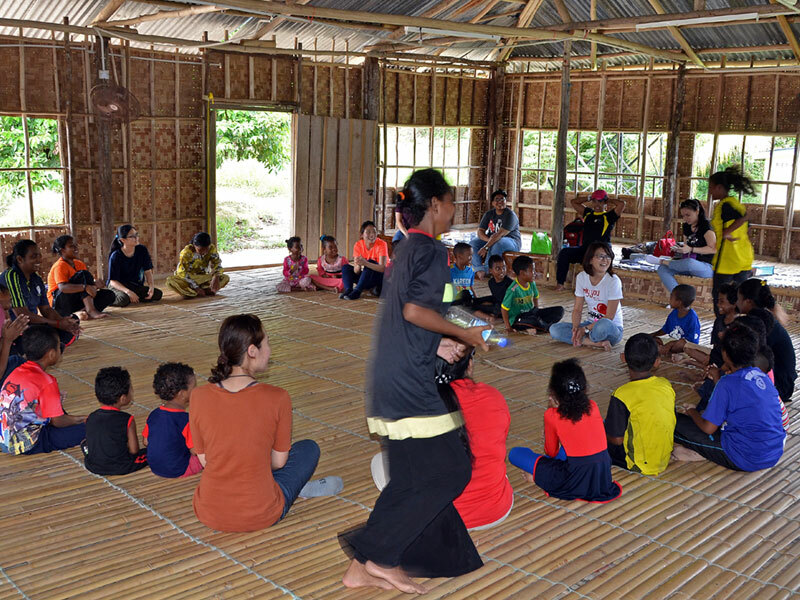 The final session was an interesting eye-opening talk by orang asli activists Tijah and Dollah, about orang asli native customary land rights. 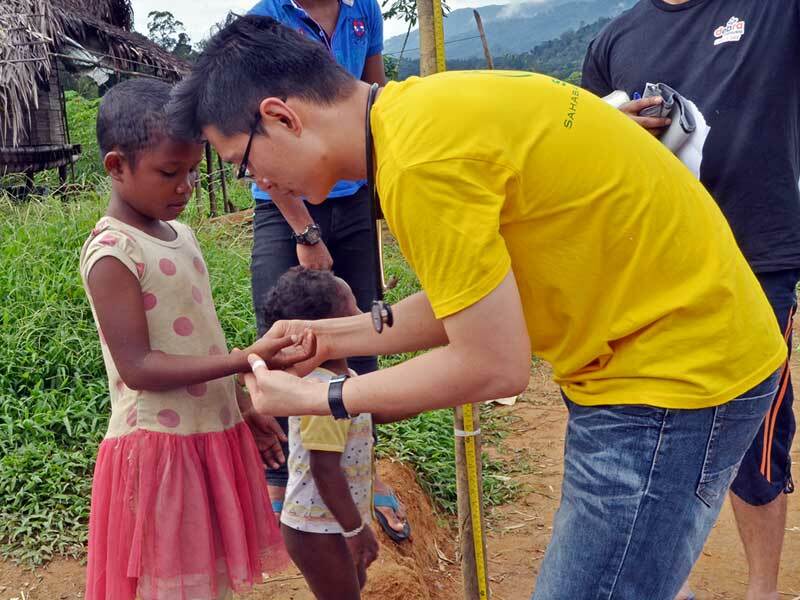 SOA's Priest Advisor, Fr Stephen Liew, received a donation of approximately 64,000 rice meals from Sunway Group at the Lost World hotel,Ipoh. 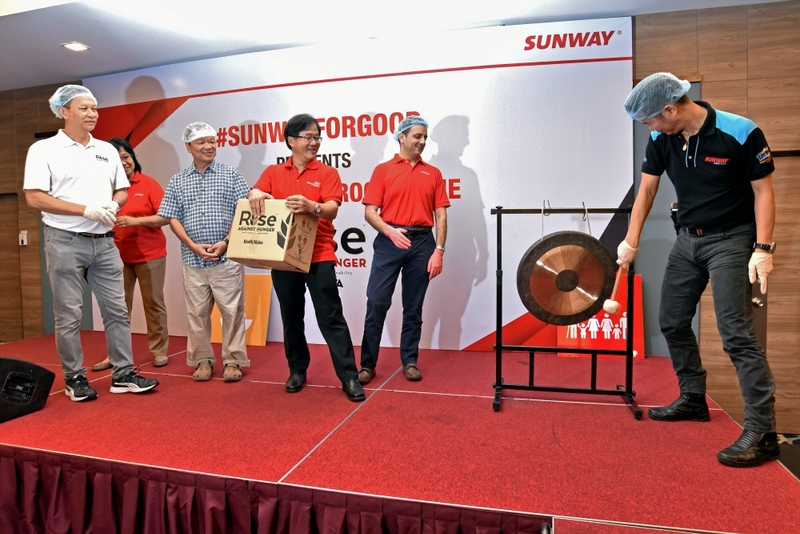 This is the fourth consecutive year that Sunway Group has donated to SOA. 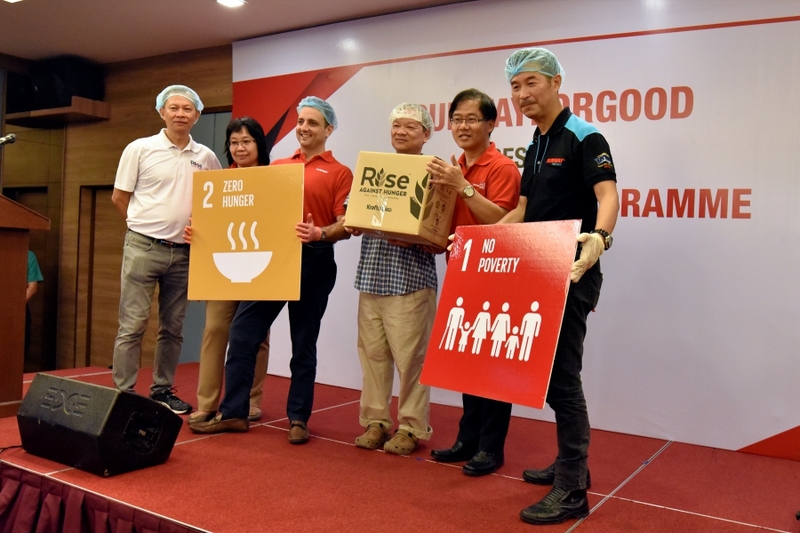 The fortified rice packs were supplied by the international relief organisation 'Rise Against Hunger', formerly known as 'Stop Hunger Now'. 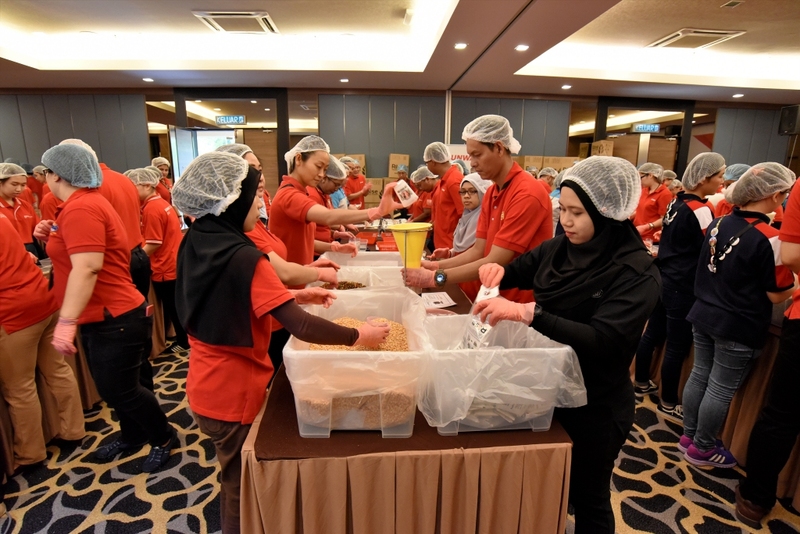 SOA thanks Sunway Group, its management and staff and Rise Against Hunger organisation for their generous and unwavering support towards SOA's healthcare and nutrition programmes. 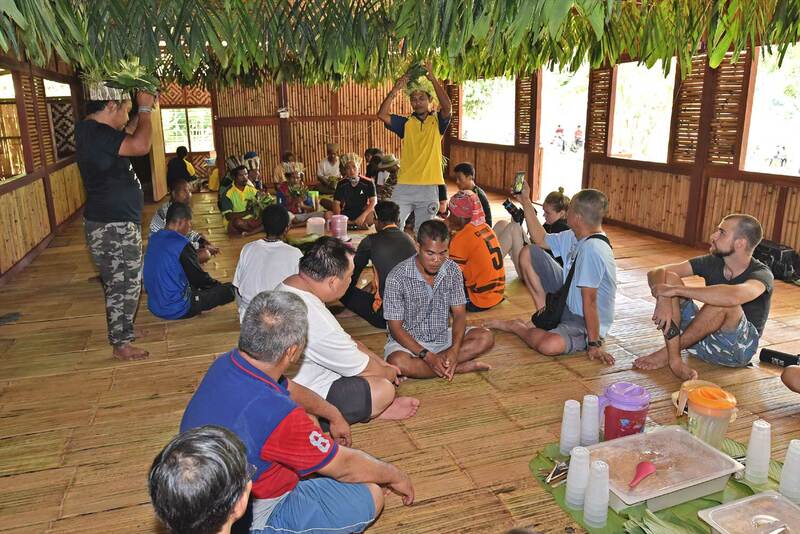 SOA survey and mobilisation team, together with Fr Stephen Liew, orang asli friends from Kg Sekam (Tapah) and members from Pink Shoes organisation were invited by orang asli villagers of Pos Kemar in Gerik, to the newly built community hall for a blessing and kenduri. 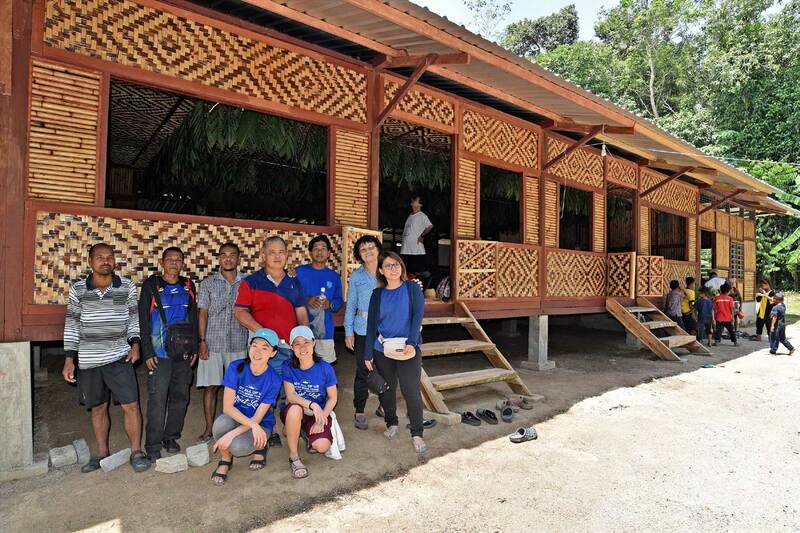 SOA survey and mobilisation team headed to Pos Kemar,Gerik to view the new Pos Kemar Community Hall built by the orang asli community there, with aid from SOA. 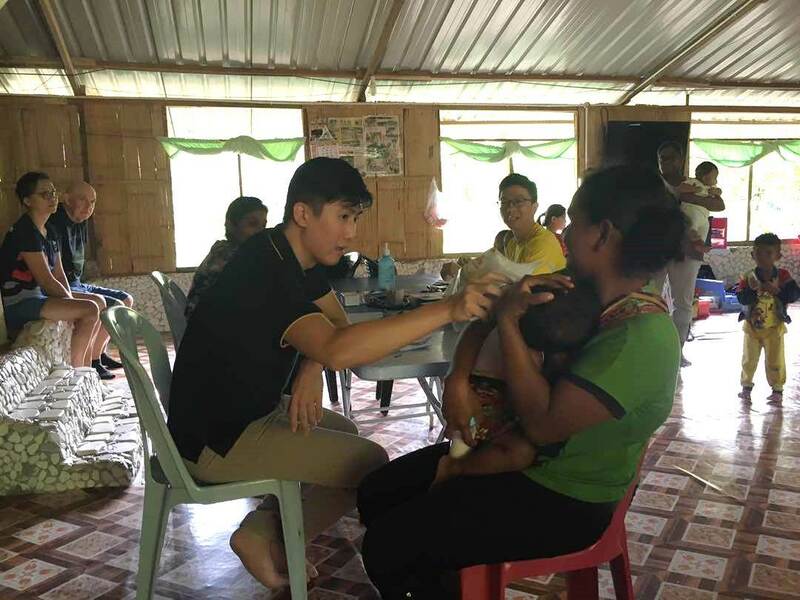 The SOA Healthcare & Nutrition team together with volunteers from Fatimah hospital,Ipoh and Stephen Chow of Taiping, visited Kg Sg Karah, Lubuk Chupak and Kg Air Bah Lawin,Gerik to conduct a follow-up medical camp. 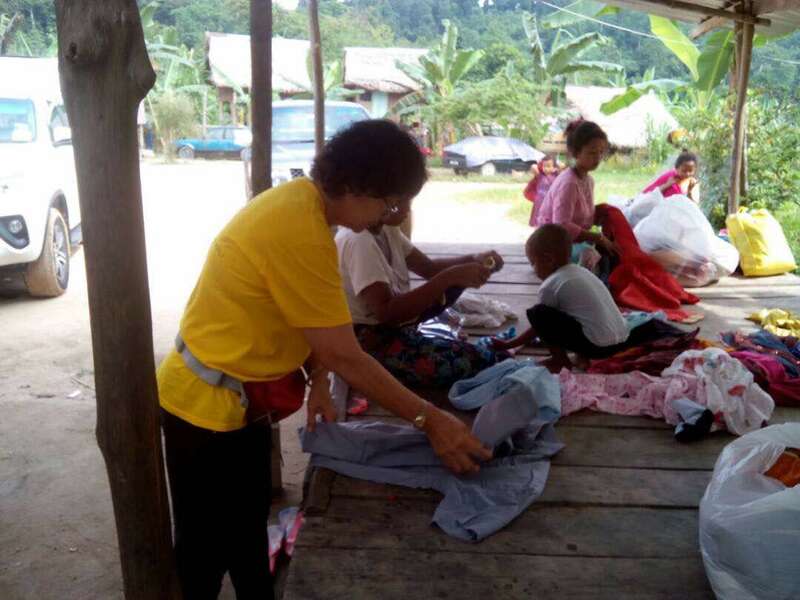 The team also brought donated clothing for some of the villages. 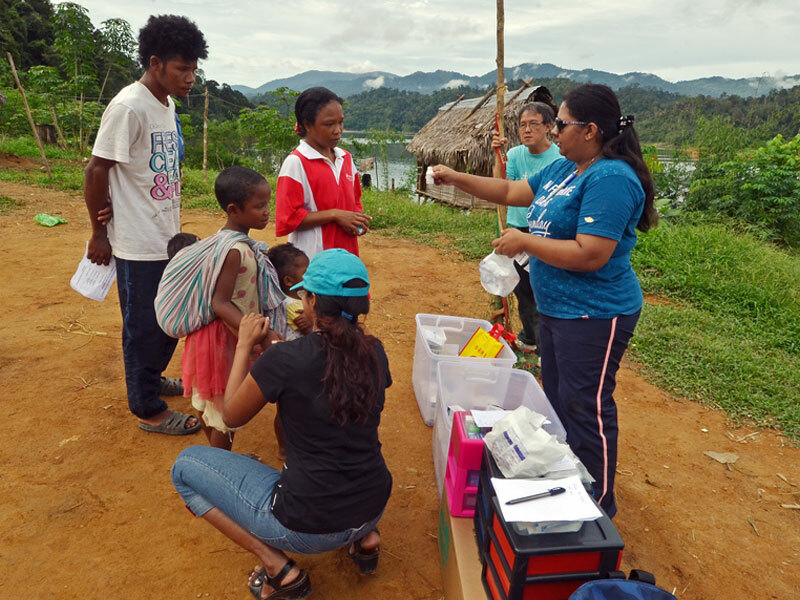 SOA team comprising two SOA members and two SSVP Kuala Kangsar members, delivered food aid (food pack consists of rice, fortified rice, oil, ikan bilis,sugar,salt, biscuits and malt beverage) to twelve orang asli households in Kg Balang,Ulu Bekor,off Kuala Kangsar. 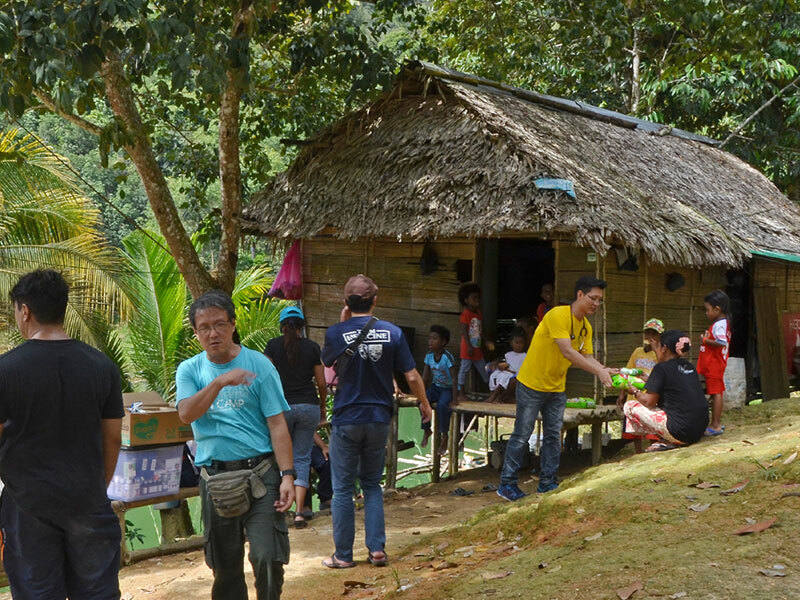 SOA survey and mobilisation members paid a visit to Fr Andrew and orang asli community at Tanjung Malim. 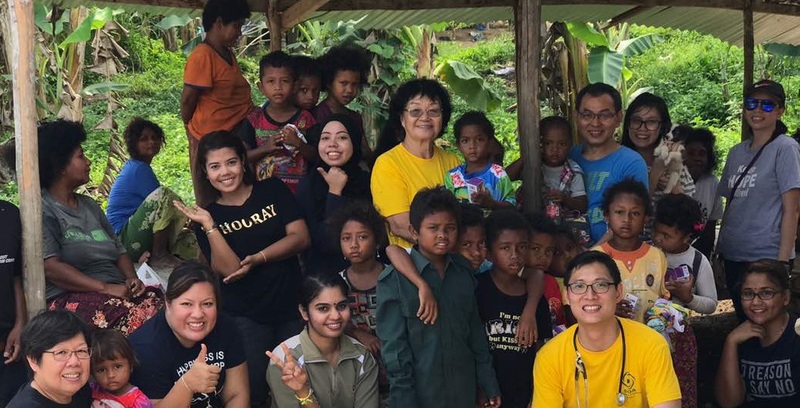 The purpose of this trip was to touch base with the orang asli community at Tg Malim church and and to see how the SOA could be of service to the orang asli community in the Tanjung Malim area. 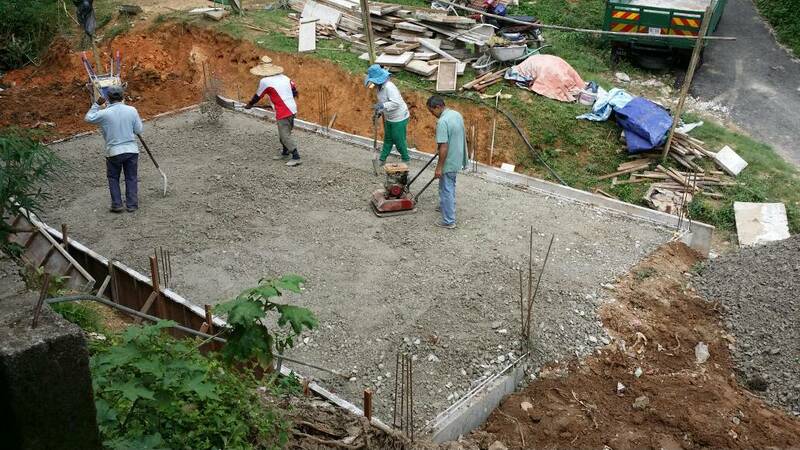 After discussions with the villagers, the team will help build a multi-purpose hall for the community as that was something they had requested for. 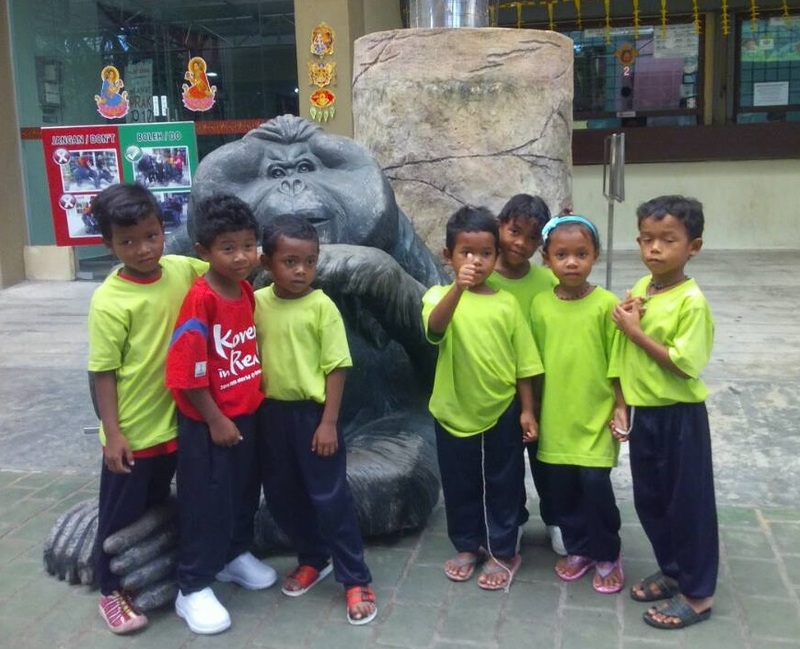 Pink Shoes organisation have also pledged their kind support for this project. 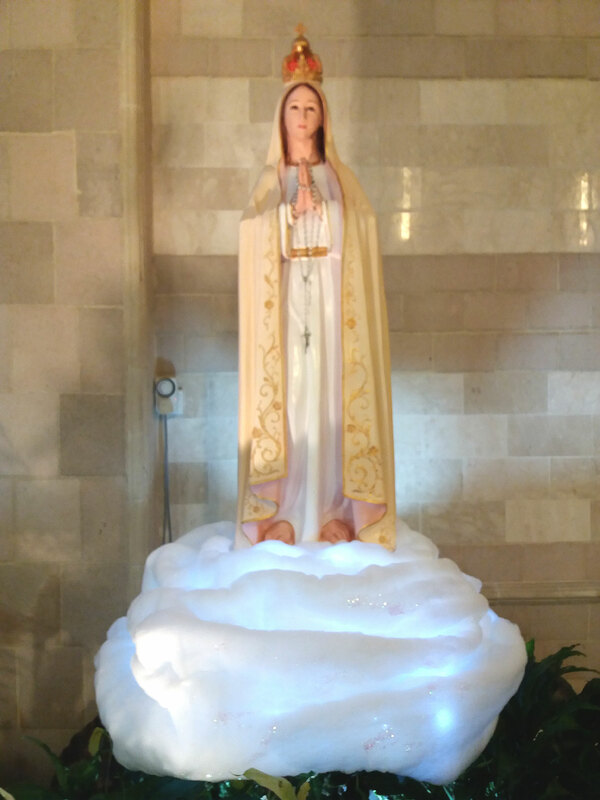 SMC BEC groups organised a mass to celebrate the 100 years anniversary of the Fatima apparitions on 31st May 2017, in conjunction with the Feast of the Visitation of the Blessed Virgin Mary. 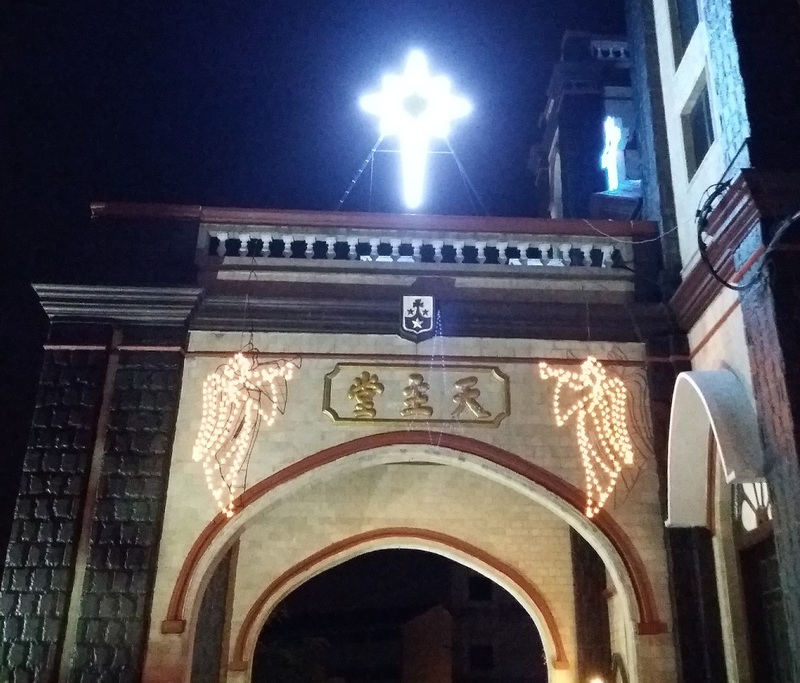 The rosary was recited in English and Chinese prior to the mass. The Our Lady of Fatima anniversary was celebrated with a short skit at the end of the mass, with three of our parish children acting as the three shepherd children, Lucia, Jacinta Marto and Francisco Marto who witnessed Our Lady's apparitions. The two siblings, St Jacinta and St Francisco,were canonized by Pope Francis on 13th May 2017. 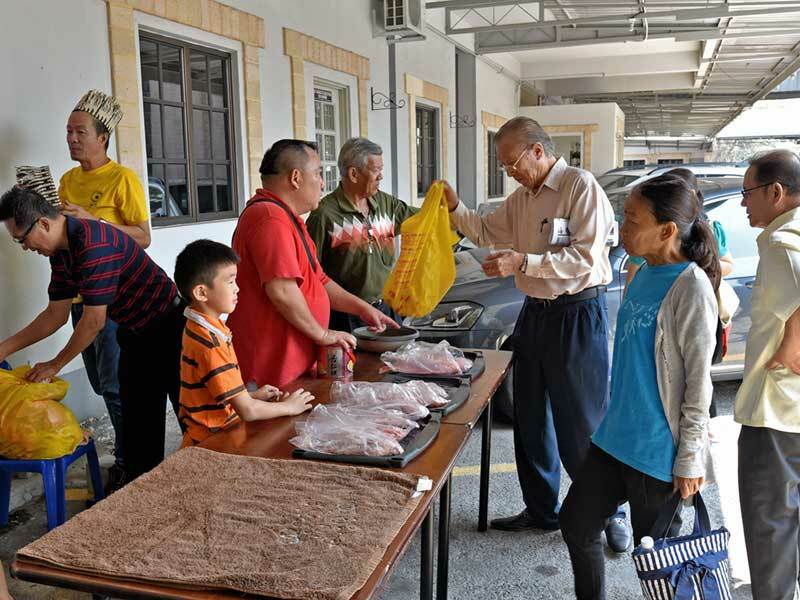 The Chinese Evangelisation Group and SMC Ministry to the Poor organised a grand Easter lunch for guests of SMC's Soup Kitchen and Ministry to the Poor adoptees on Divine Mercy Sunday. Guests and adoptees who came from all walks of life and from different faiths, were feted to a delicious lunch, (sponsored by SMC's Ministry to the Poor) at the parish's activity centre. Volunteers and the organisers also sang hymns to entertain the crowd. 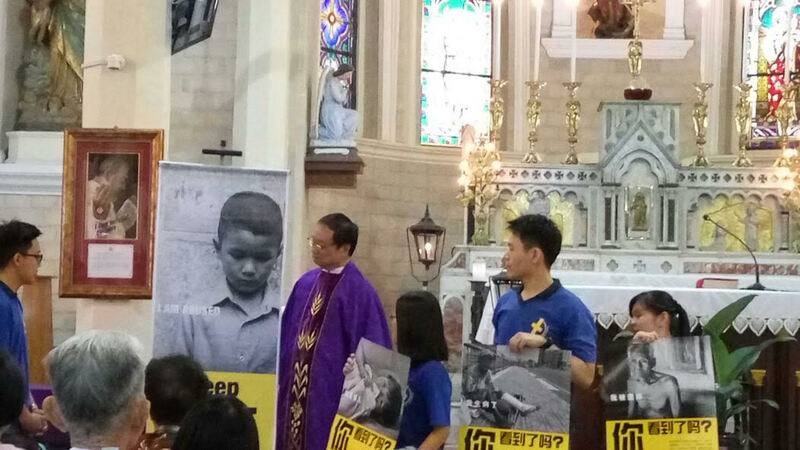 Also in attendance were SMC's parish priests Fr Stephen Liew and Fr Robin Andrews. 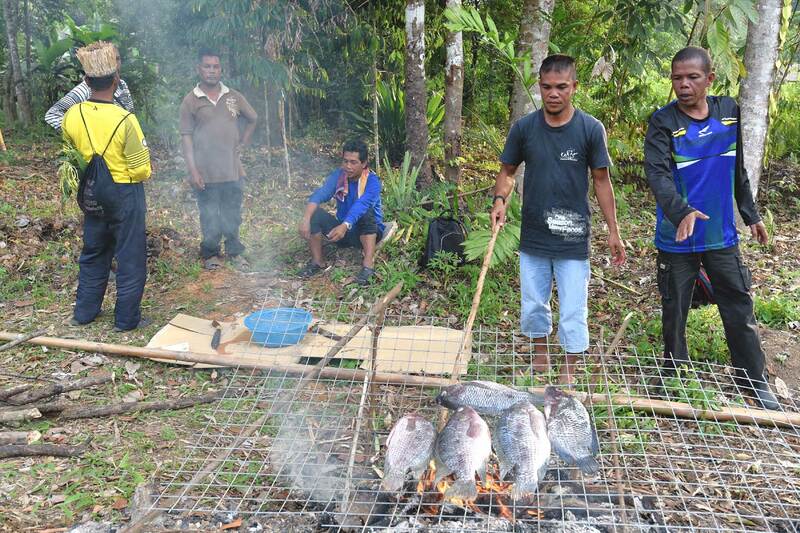 SOA mobilisation members together with orang asli villagers from Kg Sekam,Tapah harvested, cleaned and brought down tilapia farmed at Kg Sekam for sale to parishioners at SMC after all the morning masses on 23rd April 2017. 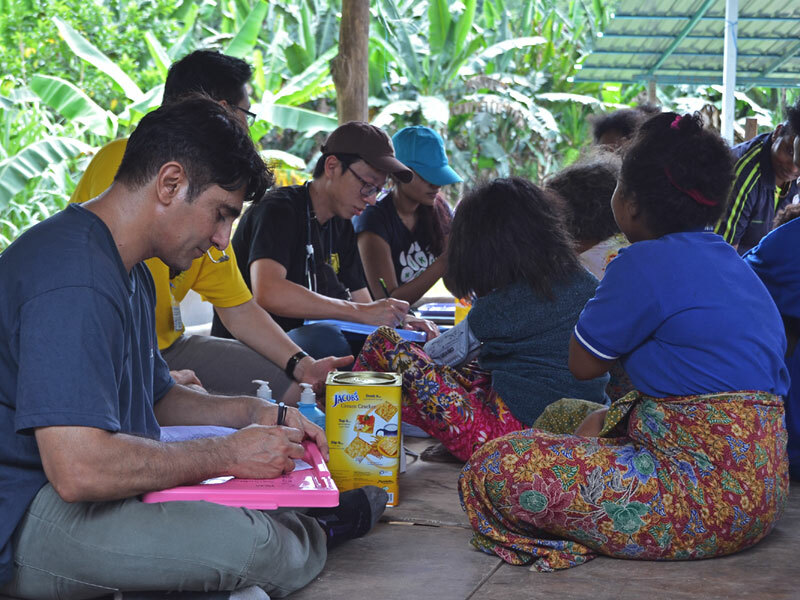 SOA medical team and volunteer doctors and nurses visited Kg Sekam, Tapah on the morning of 22nd April 2017 for a follow up medical camp. 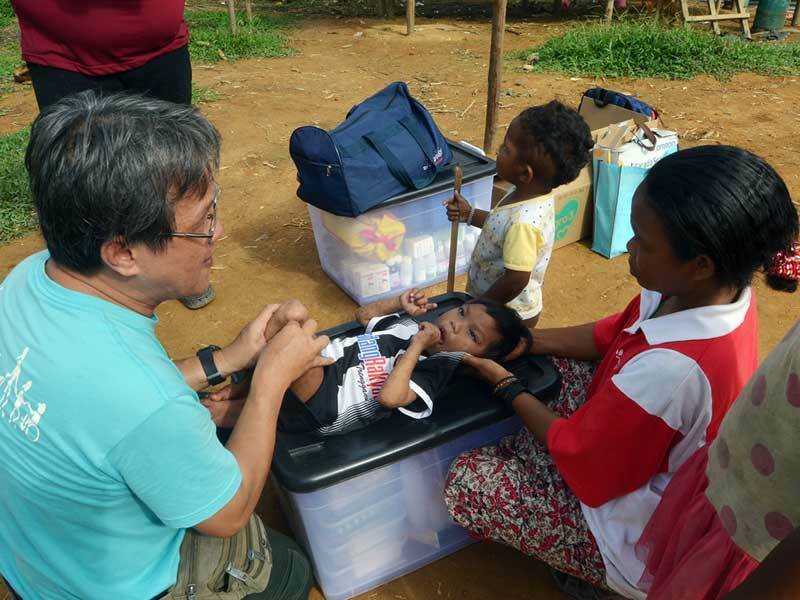 Updates : Deepest condolences to the family and friends of the late Dr Loo Ming Wei (pictured above), a dedicated member of the SOA's team of volunteer medical doctors, who passed away on 19th September 2017. 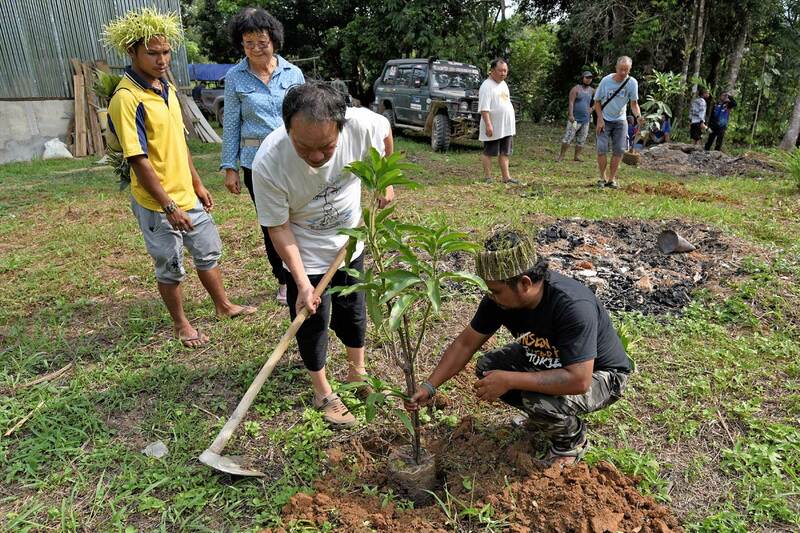 Dr Loo generous spirit and dedication to the SOA cause will always be remembered. May his soul rest in peace. 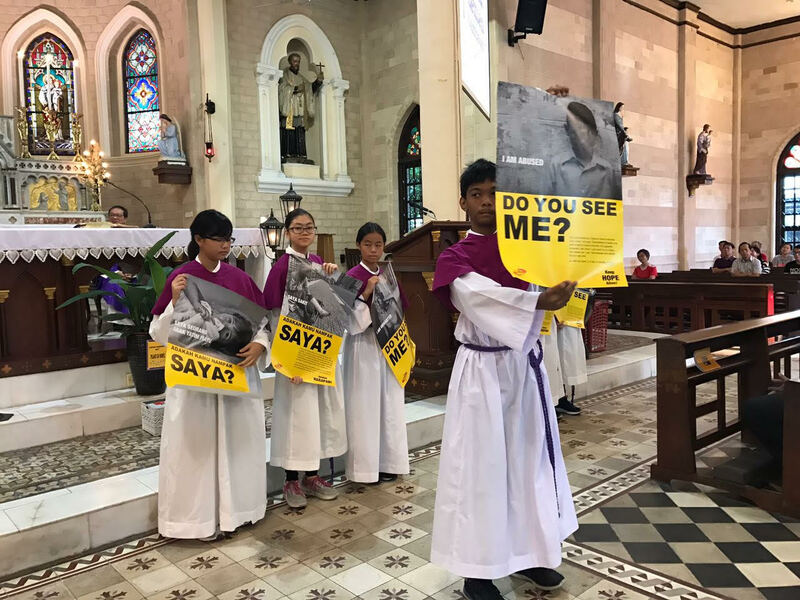 Members of PHDC thanks all parishioners and friends who have generously contributed to the Penang Diocesan Lenten Campaign. 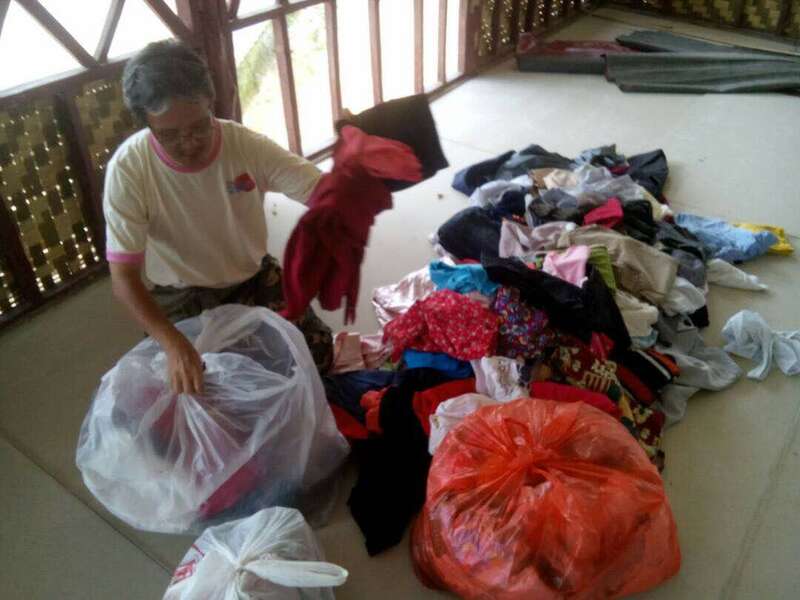 The amount collected from our parish amounted to RM50,024.00. 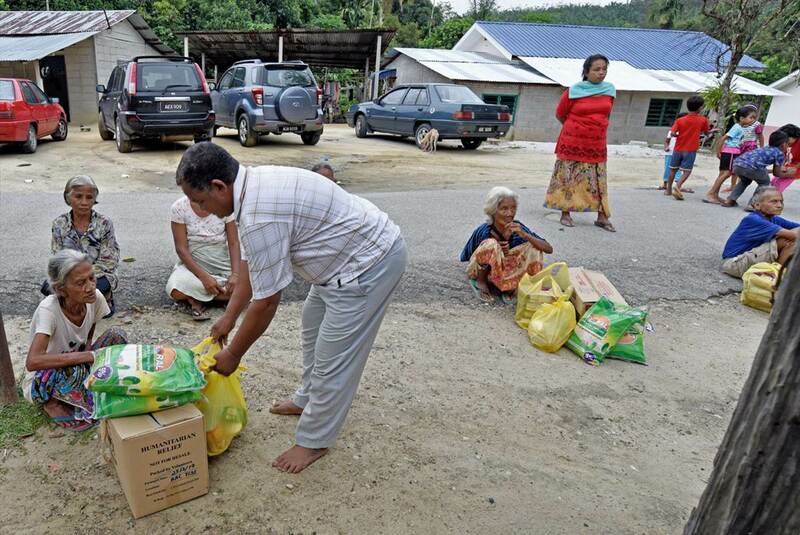 Two SOA teams set out to deliver rations of rice and groceries to needy orang asli communities in Kuala Kangsar. 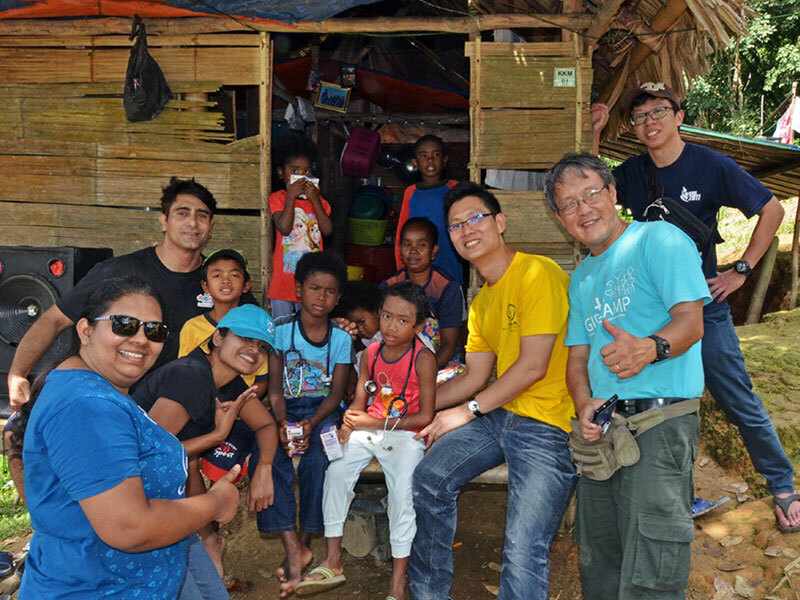 The SOA team was assisted by two members of the Society of St Vincent de Paul (SSVP) from the church of St Patrick,Kuala Kangsar, for the trip to Kg Balang,Ulu Bekor. 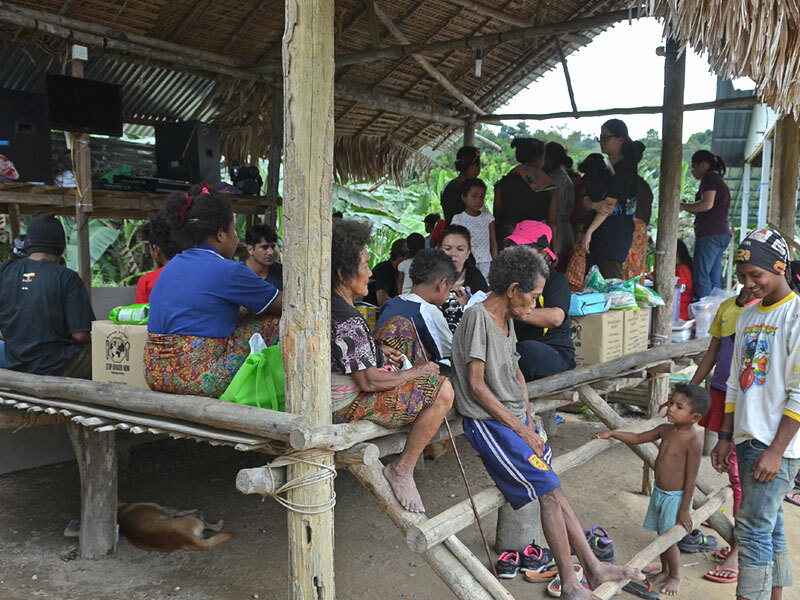 Rations of fortified rice, regular rice, salt and canned food were given to nine households comprising mainly elderly orang asli. 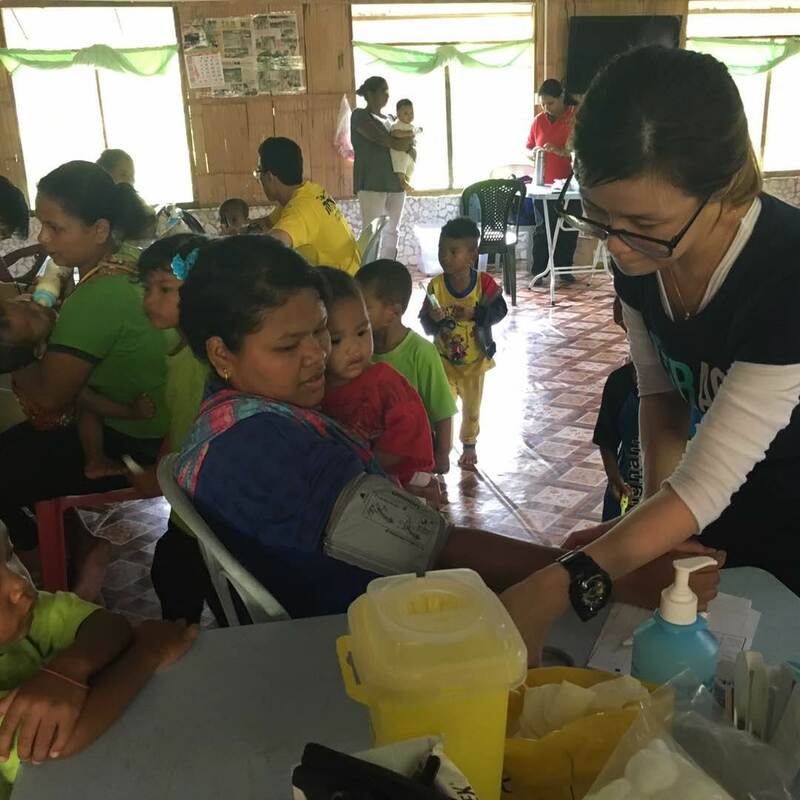 SOA team together with volunteer doctors, nurses and pharmacist from Hospital Fatimah, Ipoh and Hospital Raja Permaisuri Tuanku Bainun,Ipoh conducted a medical camp at Kg Sinju, Simpang Pulai on the morning of 11th March 2017. 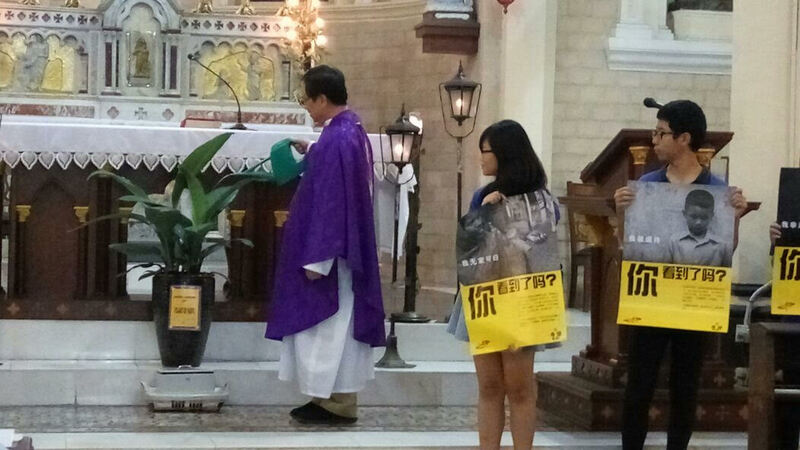 Fr Stephen Liew launched the Penang Diocesan Lenten Campaign 2017 on 5th March 2017 during the morning masses at 8.00 a.m. (in English) and 10.00 a.m.(in Chinese). 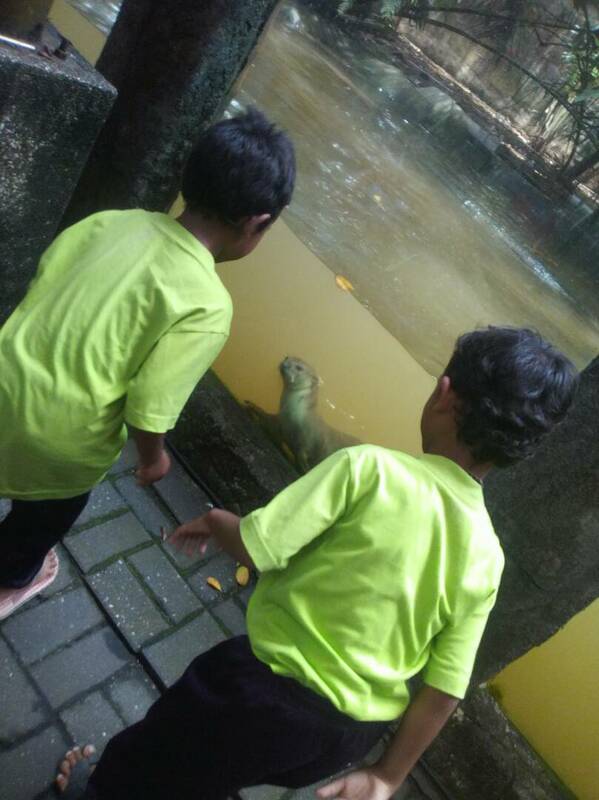 The theme for year 2017 is "Keep Hope Alive". 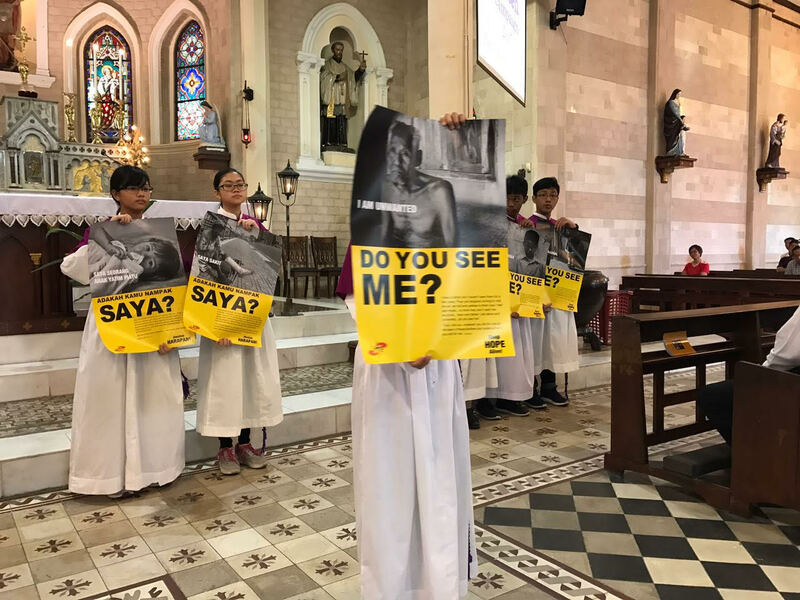 This year, the campaign aims to motivate more Catholics to be more aware and responsive to the poor and marginalised around them, with particular focus on the following: migrants, child labour, the homeless, the elderly, the ill/infirmed and orphans. We are all called to be disciples of hope for these marginalised sections of our society. 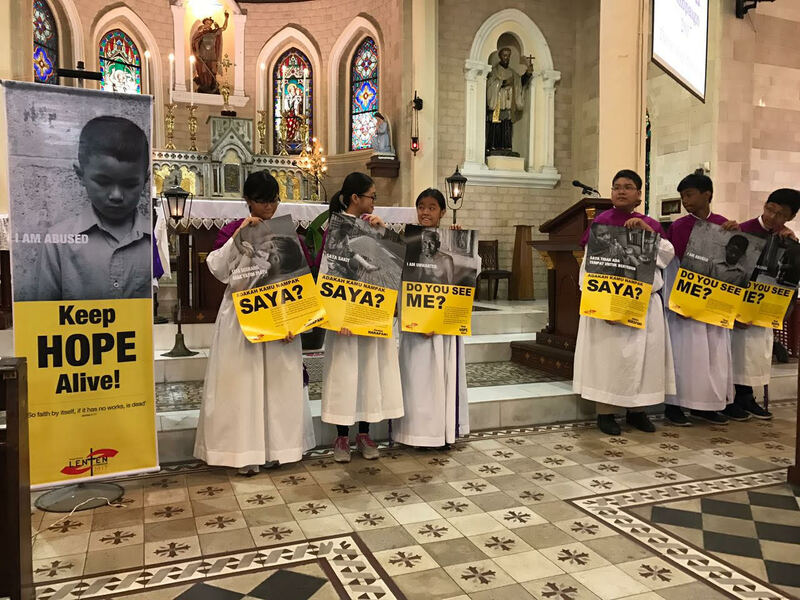 The launch began with representations of these six focus groups by altar servers bearing photo placards. 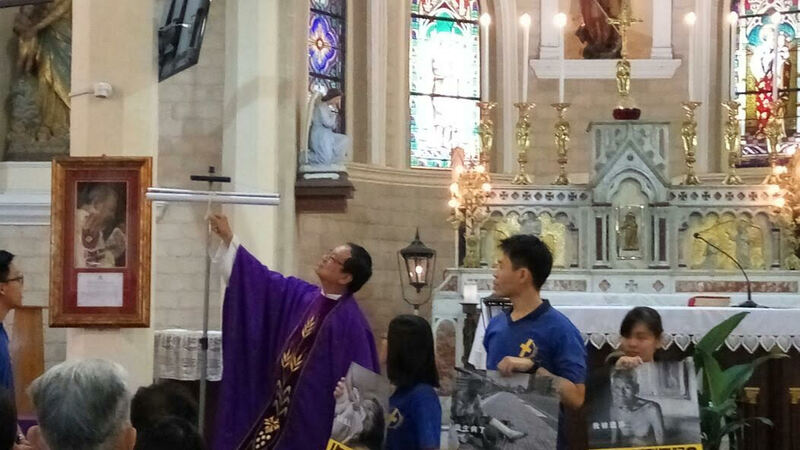 This was followed by the unfurling of the Lenten Campaign bunting by Fr Liew. He then proceeded to water a plant presented by the PHDC, which represented "Life and Hope". 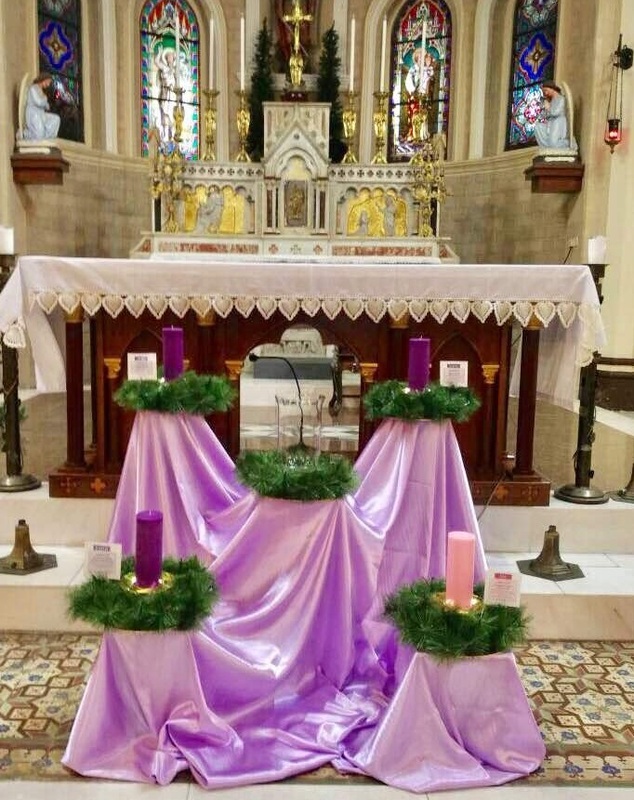 The plant will be kept in the church throughout the Lenten season. Parishioners were then reminded to take a Lenten Campaign envelope and to give generously towards this campaign. The Lenten campaign funds will be used to fund the diocese's many outreach projects. The SMC Altar Servers launched their first official Altar Servers' Handbook on 26th Feb 2017, during the 8.00 a.m. English mass and the 10.00 a.m. Chinese mass. The Handbook was compiled by Jude Danny, Christopher Yau and team under the guidance of Fr Stephen Liew. Congratulations to the SMC Altar Servers and their advisors for this useful and far-sighted idea, which will surely be much appreciated by all present and future servers. SOA members took delivery of 93 boxes fortified rice from Stop Hunger Now, kindly sponsored by Taylor's College Rotaract Club on 25th Feb 2017. 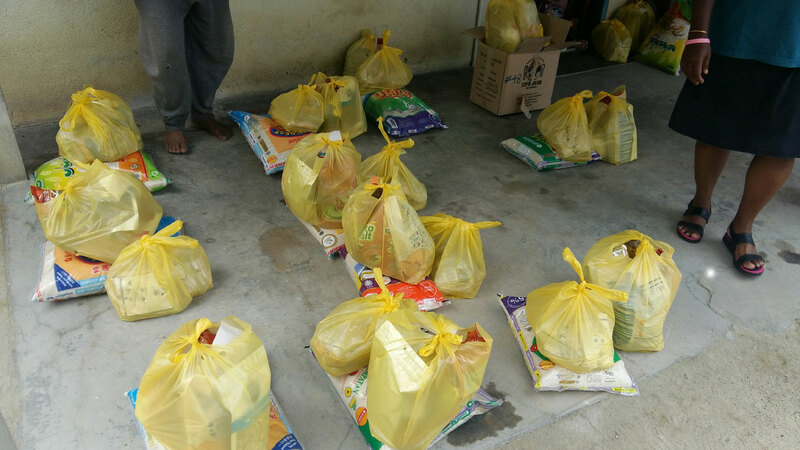 We are most grateful for this kind donation as the rice will be distributed not only to Orang Asli communities but any poor community or charitable organisation in need of it. A big 'Thank you' to Rotaract Club of Taylor's College and Stop Hunger Now organisation! 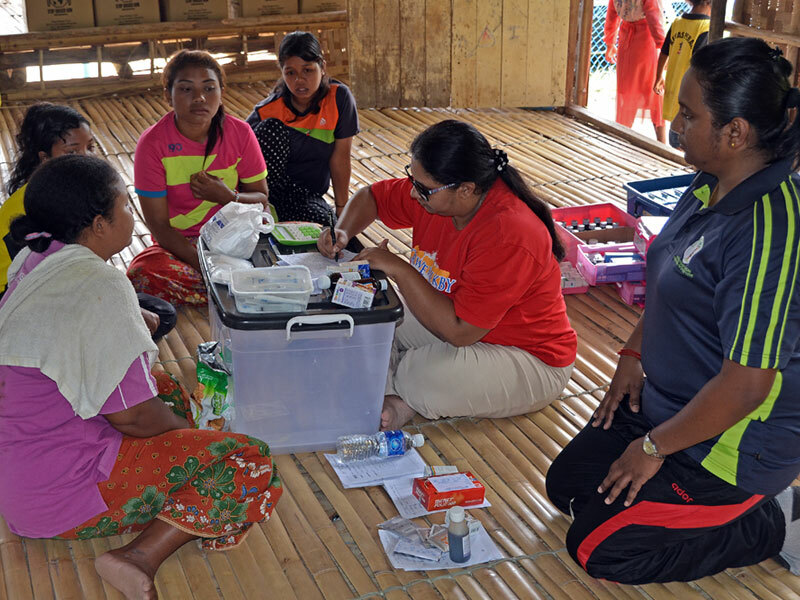 SOA's medical healthcare and nutrition team conducted a medical camp at new orang asli villages in Gerik, among them Kg Tersau. In conjuction with the celebration of Catechetical Sunday, Fr Stephen Liew and visiting priest,Monsignor James Gnanapiragasam, presided over the commissioning of St Michael's church catechists for the year 2017, during the morning mass on 22nd January 2017. 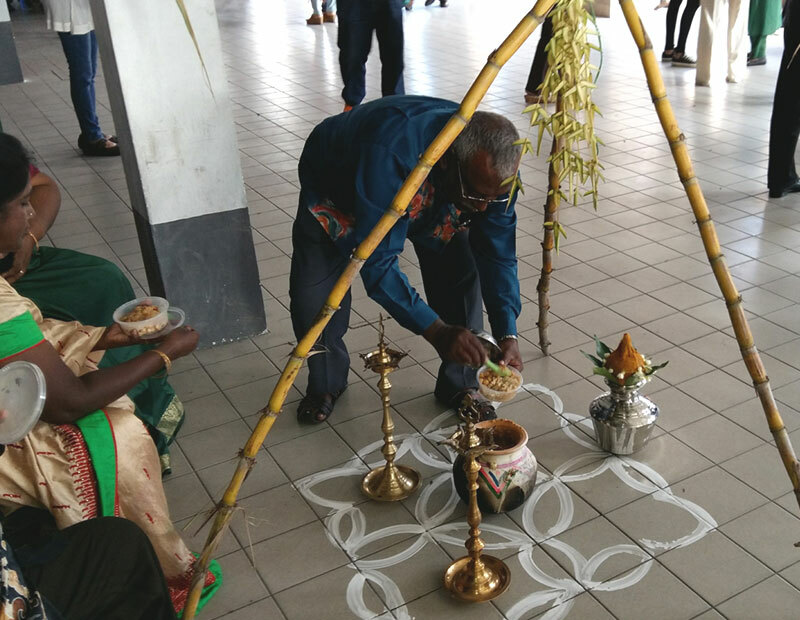 The Indian Group of SMC celebrated Ponggal with parishioners on 22nd January 2017. The traditional boiling of rice in milk was done before mass, outside at the porch area. 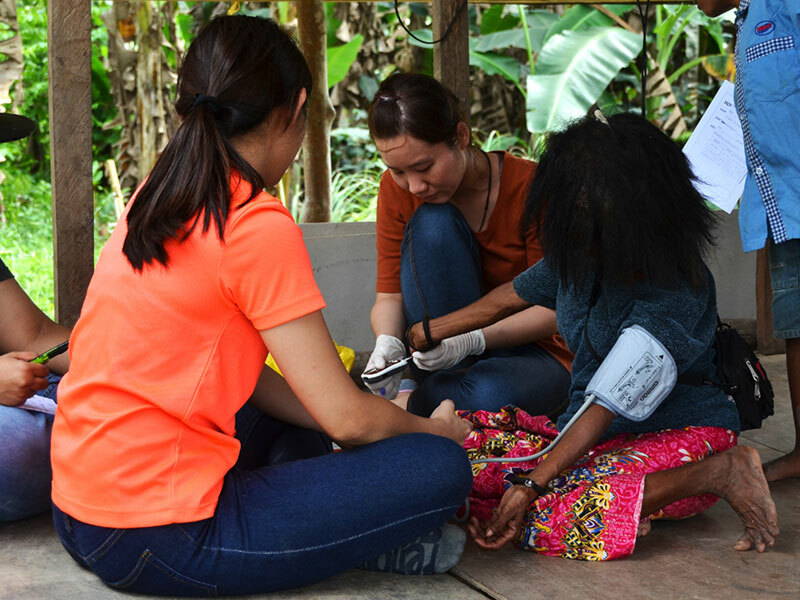 The group also prepared coffee and sweets at the Parish Activity Centre for parishioners to partake along with the sticky rice. 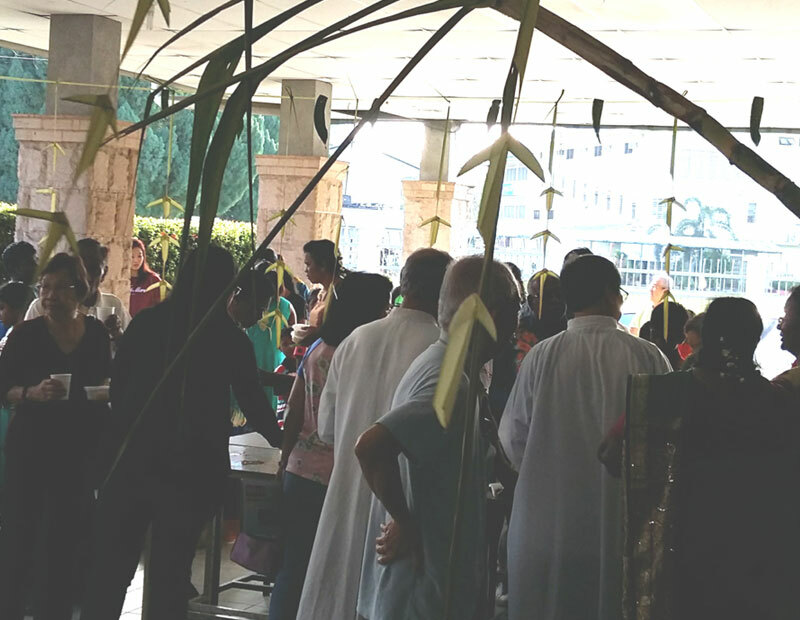 Fr Stephen Liew and Monsignor James Gnanapiragasam were seen mingling with parishioners while savouring the Ponggal breakfast after mass. 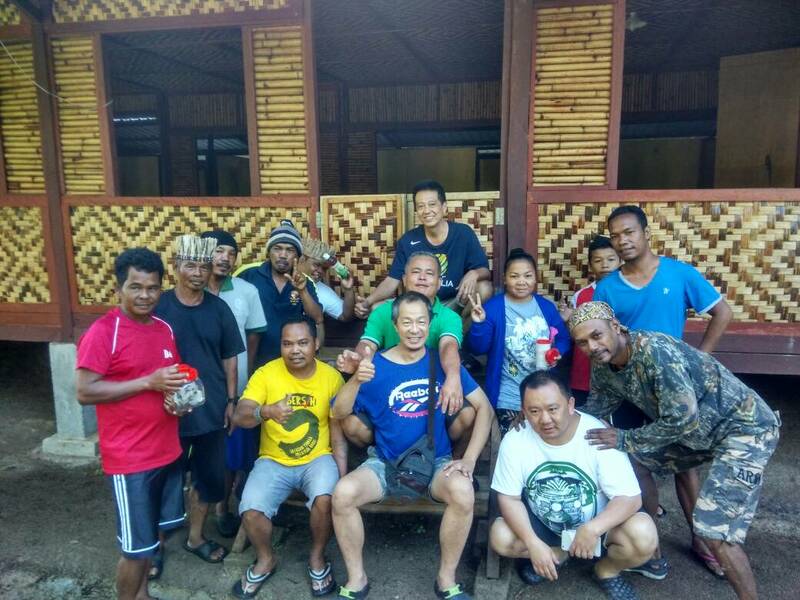 The Sahabat Orang Asli Survey & Mobilisation team together with orang asli villagers harvested fish cultivated at Kg Sekam, in Cameron Highlands on Saturday, 21st Jan 2017. 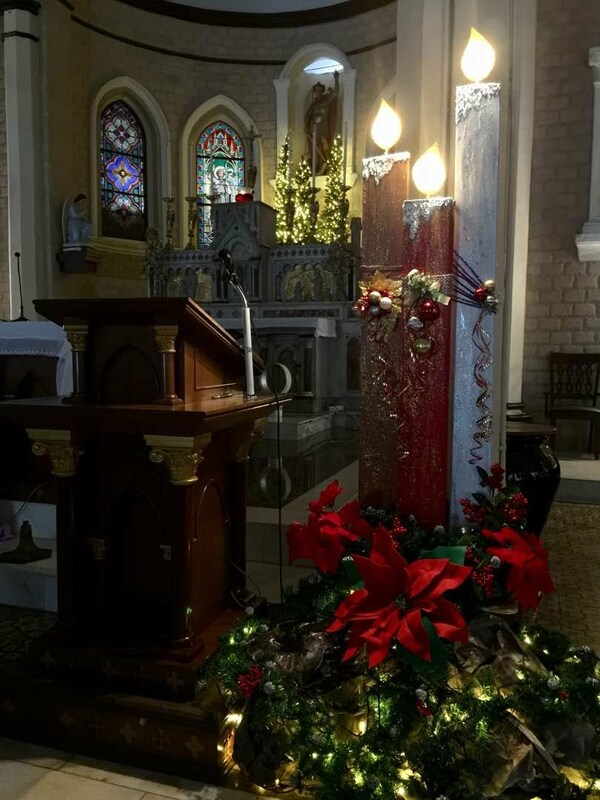 The fish were cleaned, packed and sold to parishioners by the hard-working members of the SOA after all masses on the weekend of 21st to 22nd January 2017. 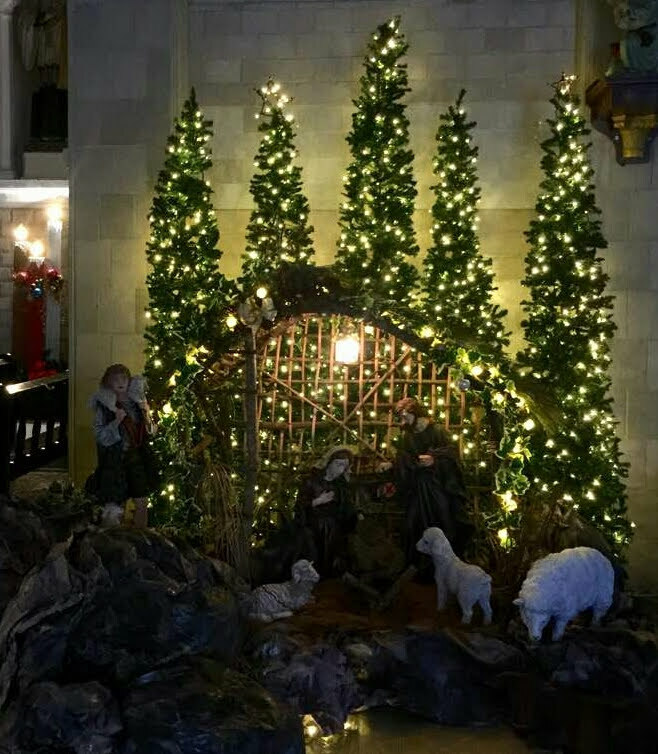 SOA team thanks all volunteers and parishioners for their kind support. 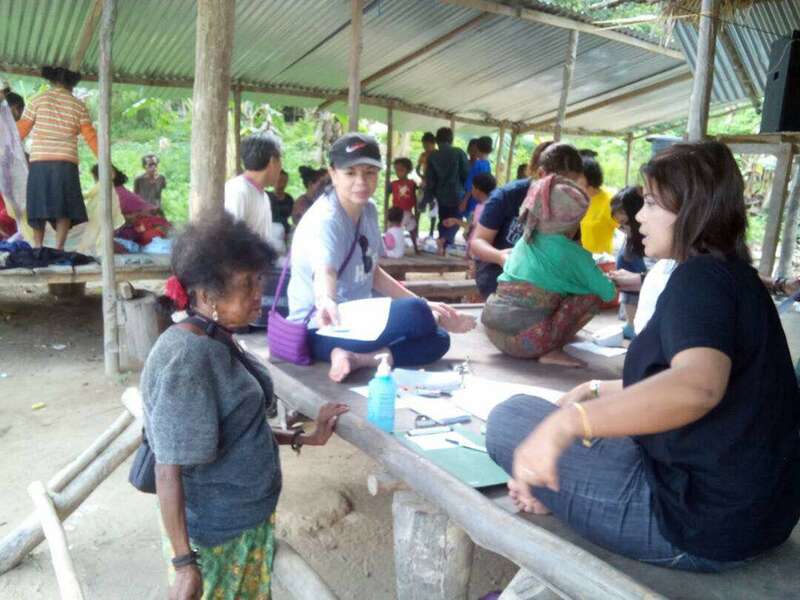 SOA team members together with volunteers from Ipoh's Fatimah hospital, volunteer doctors from Ipoh and Teluk Intan and volunteers from Taiping conducted medical camps at Kg Air Bah Lawin, Kg Sg Karah and three new villages in the surrounding area. 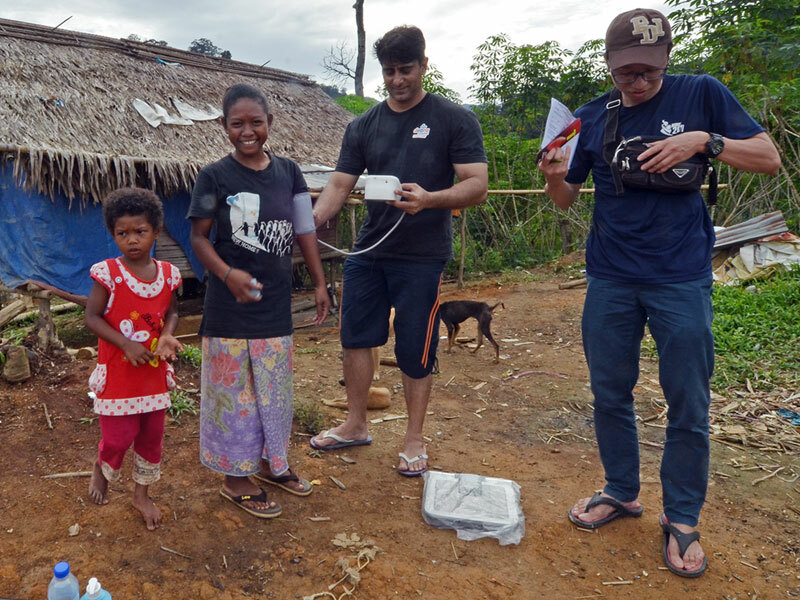 Rice packs were also delivered to the villagers. 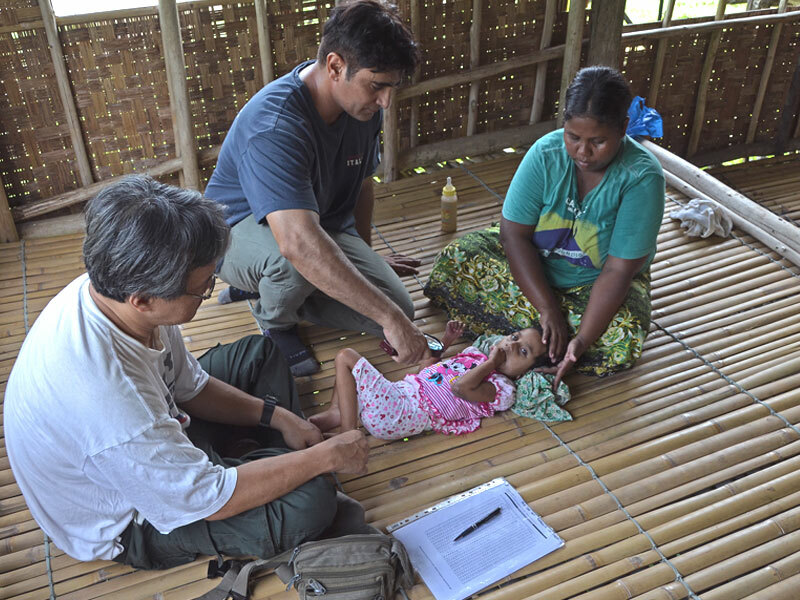 Doctors were pleased to record some improvement in the health of the families found to be malnourished in the previous medical visit in the second half of 2016. © 2017 Church of St. Michael,Ipoh. All rights reserved.